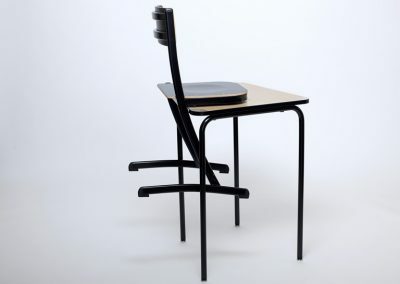 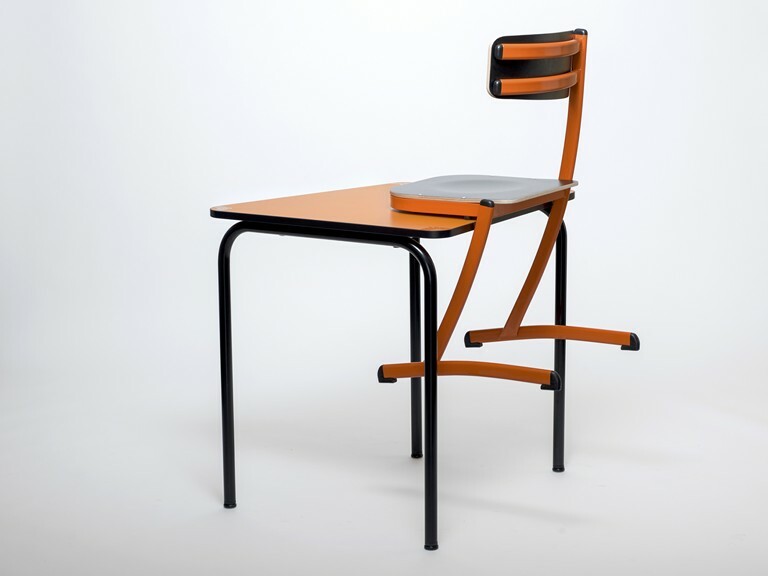 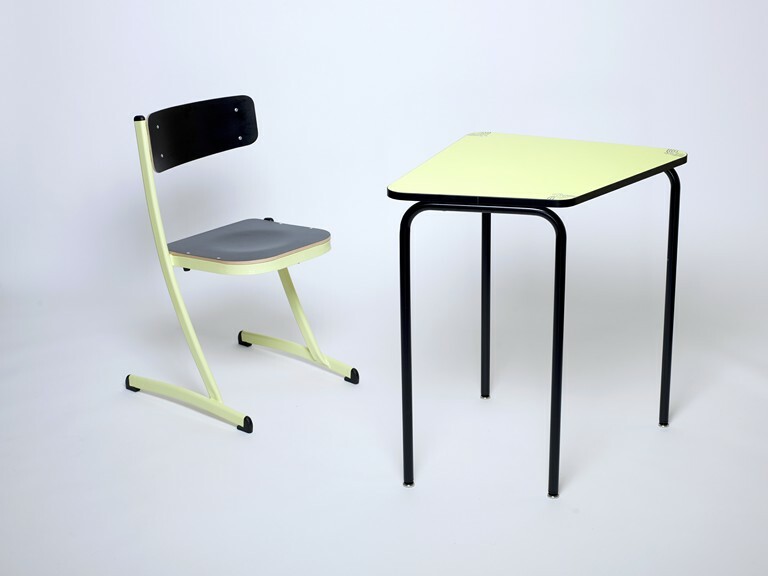 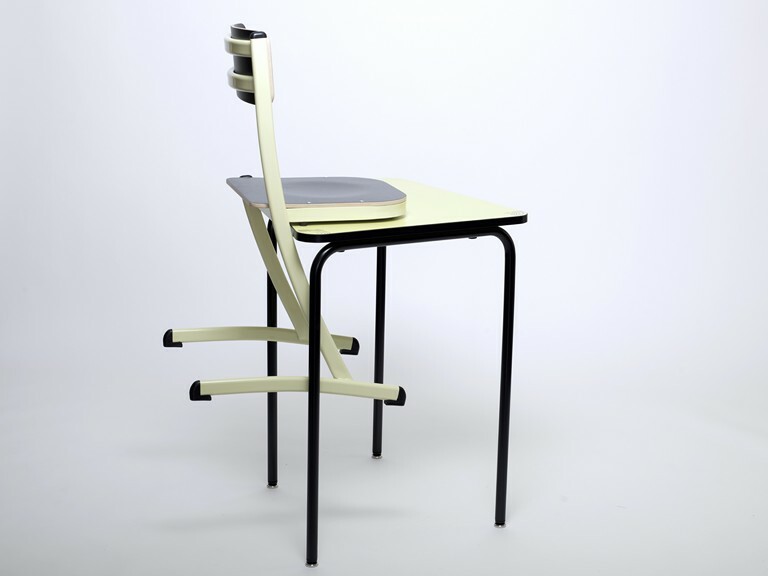 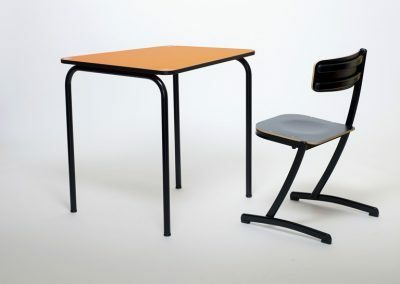 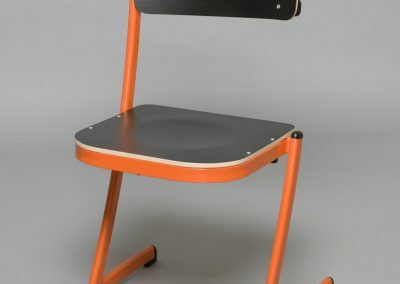 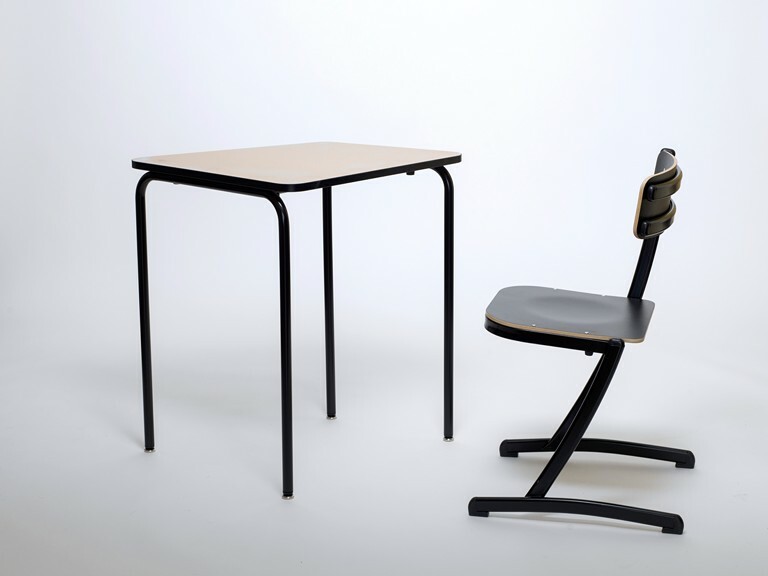 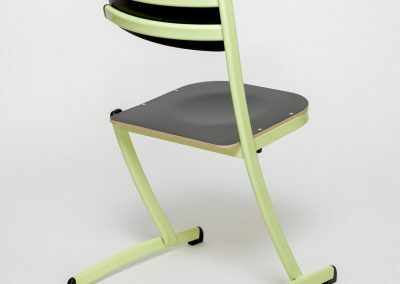 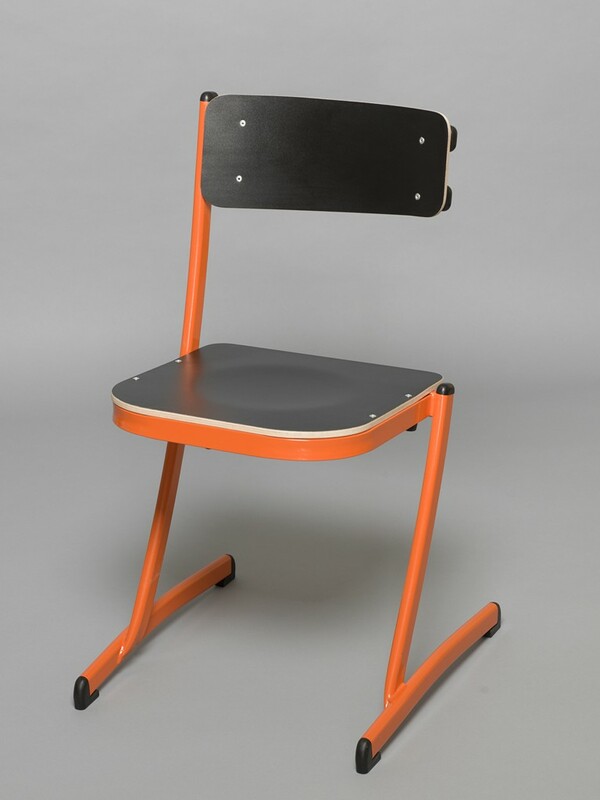 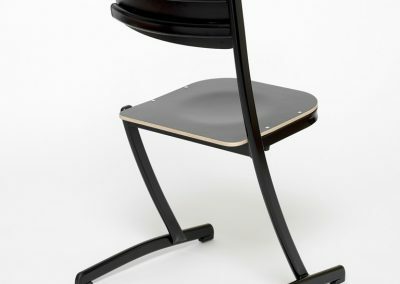 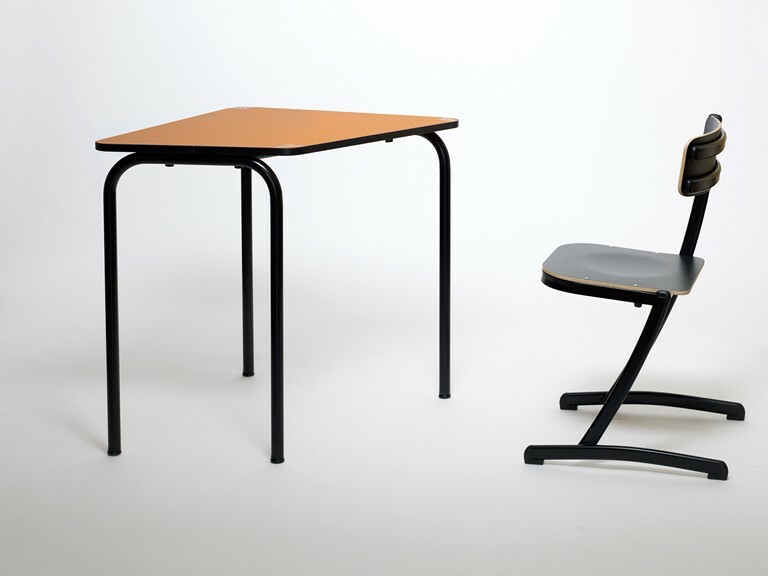 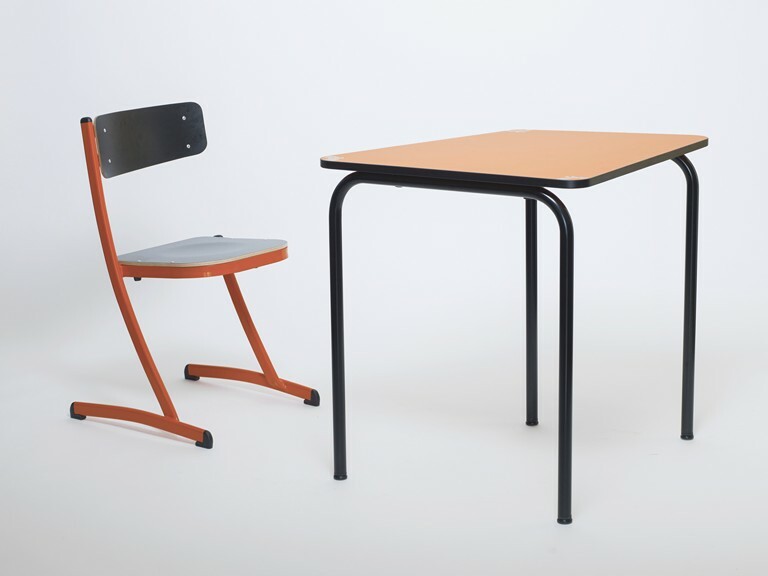 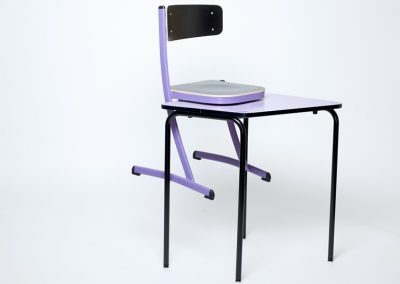 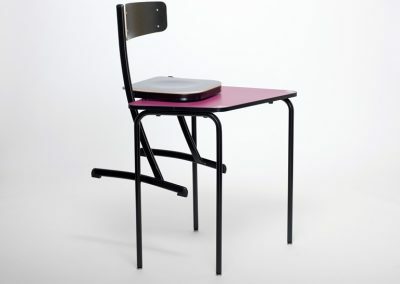 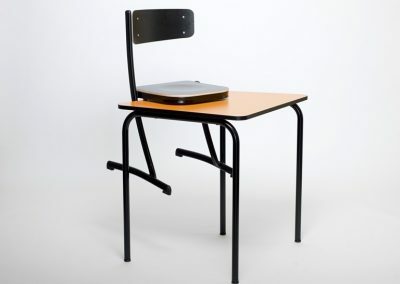 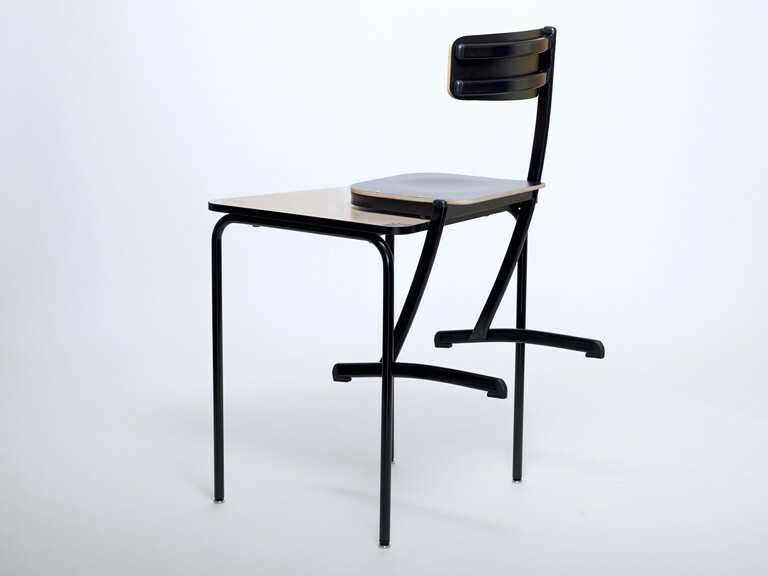 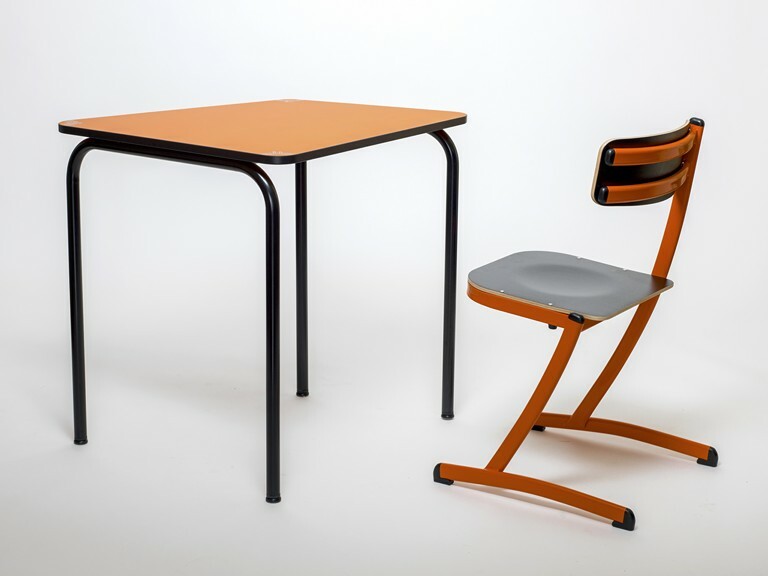 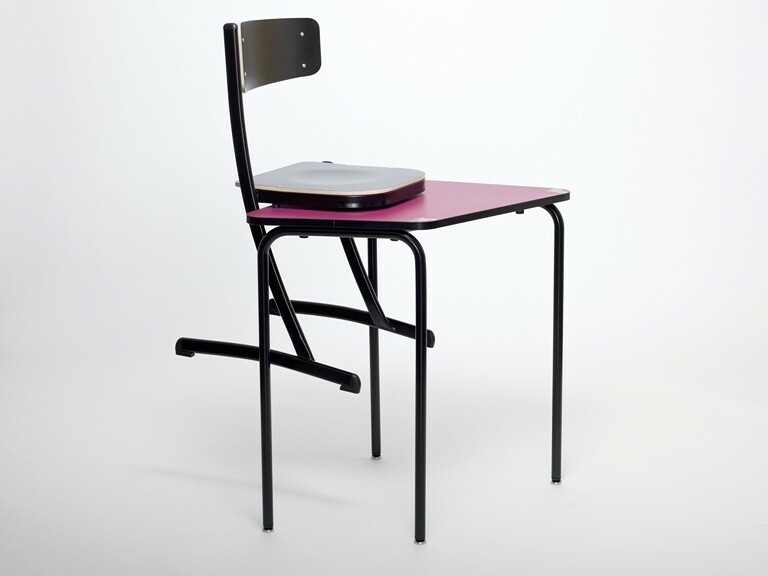 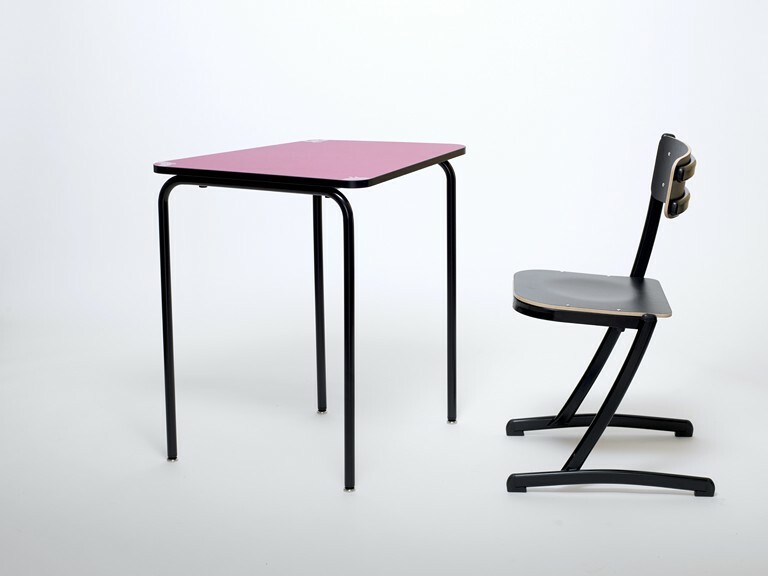 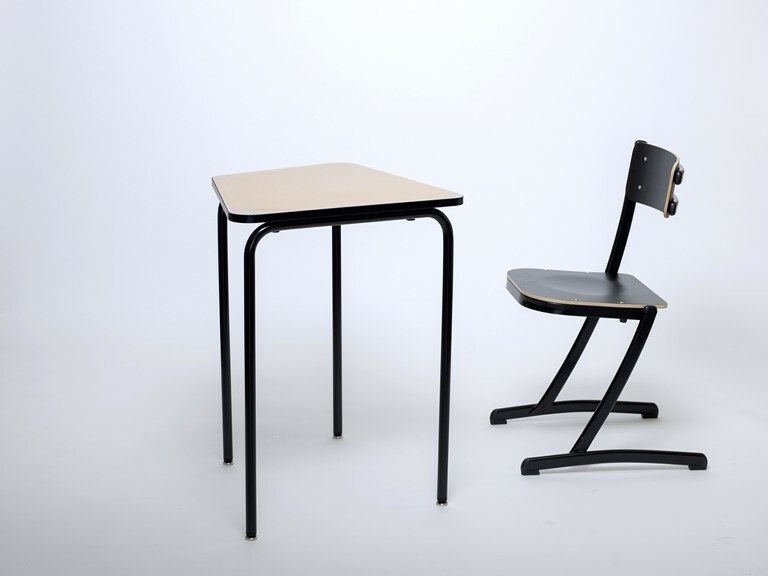 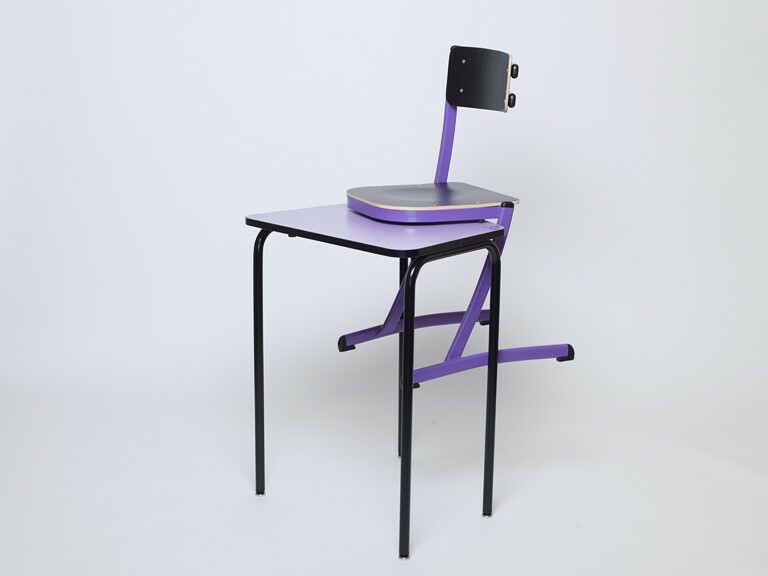 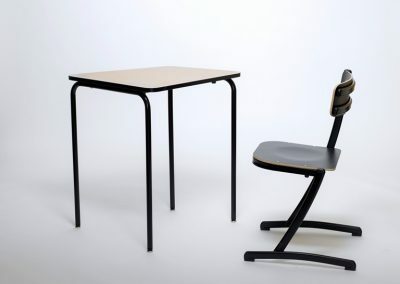 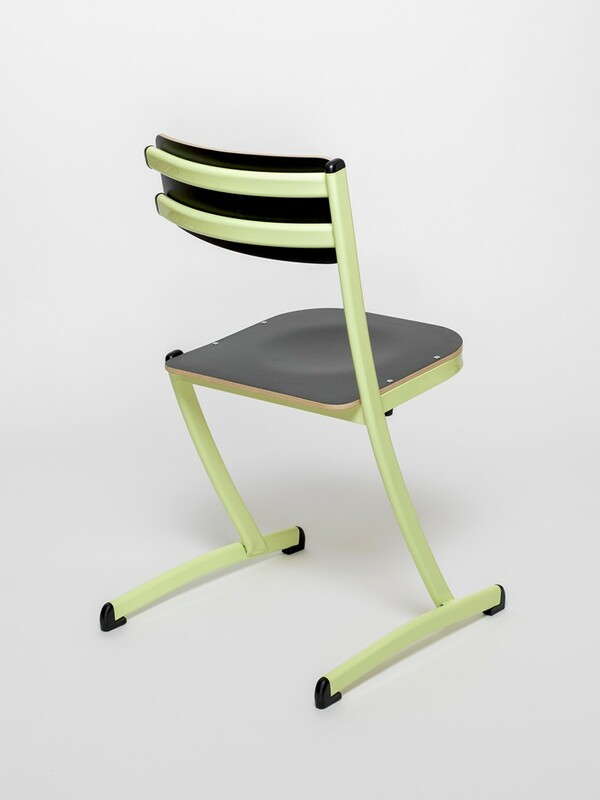 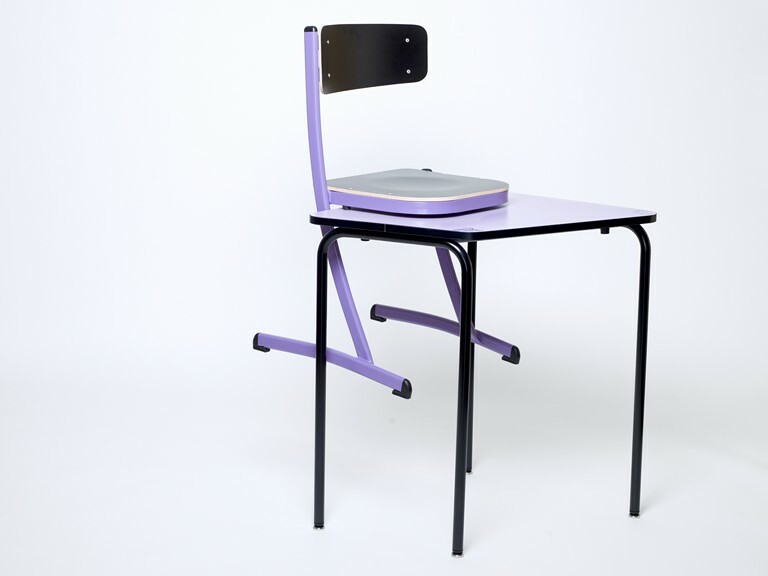 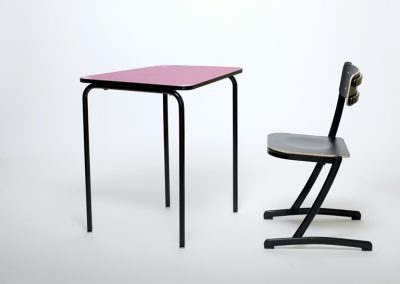 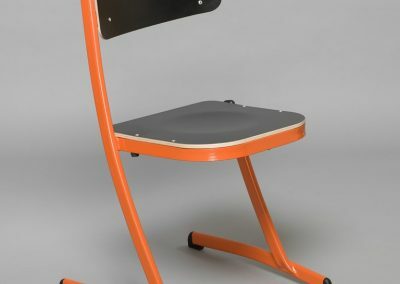 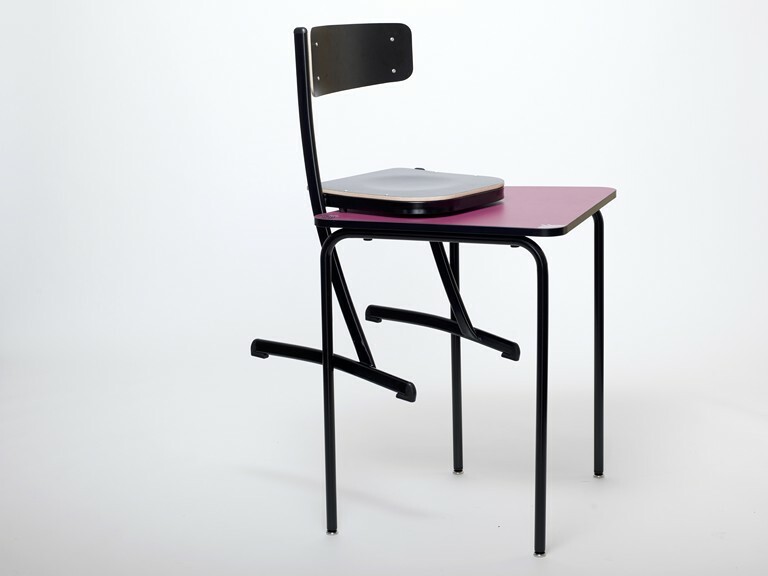 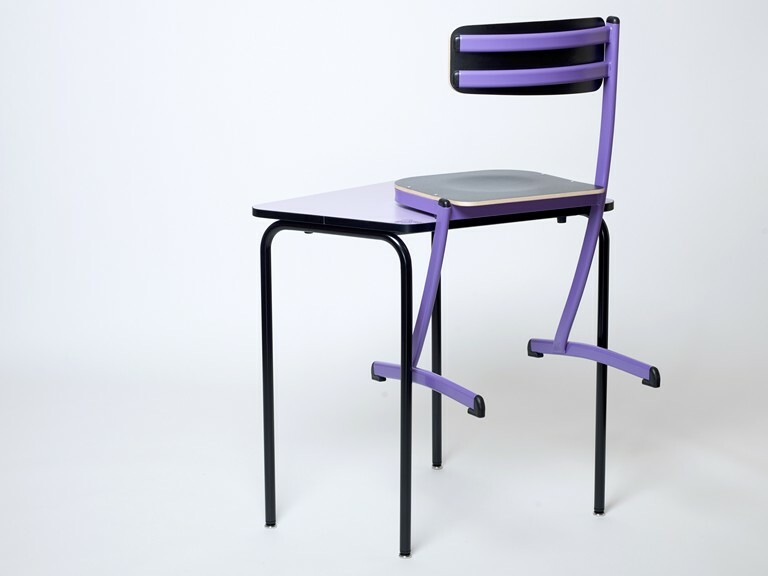 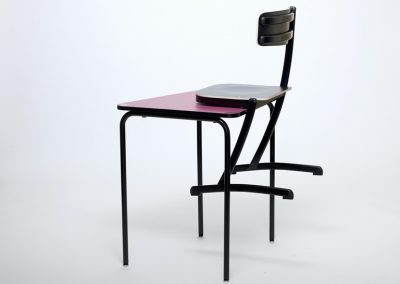 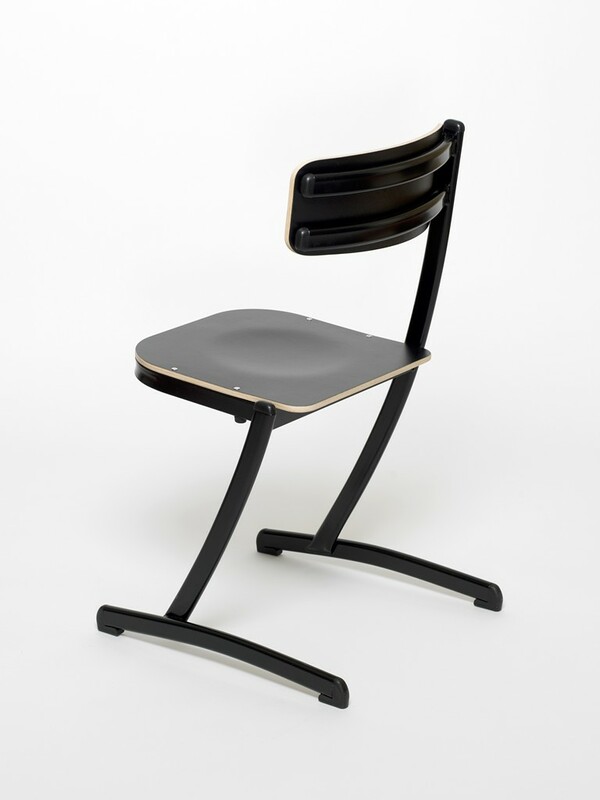 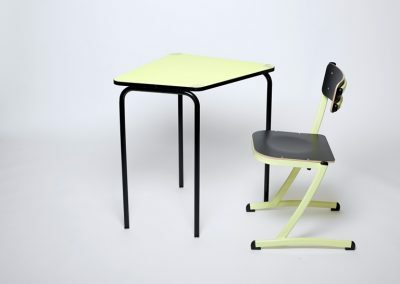 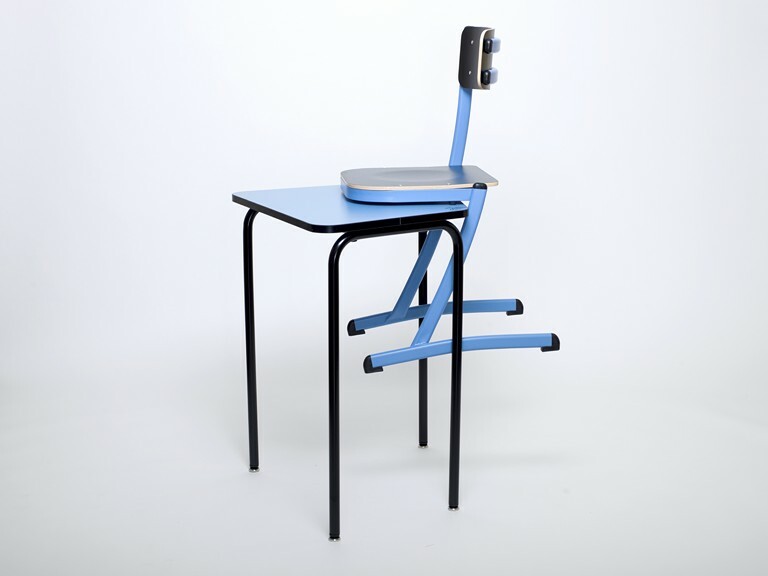 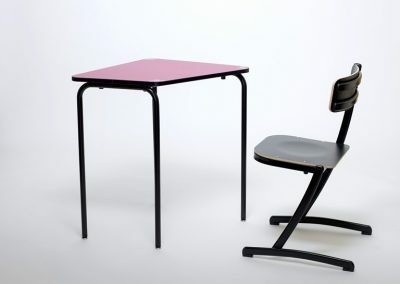 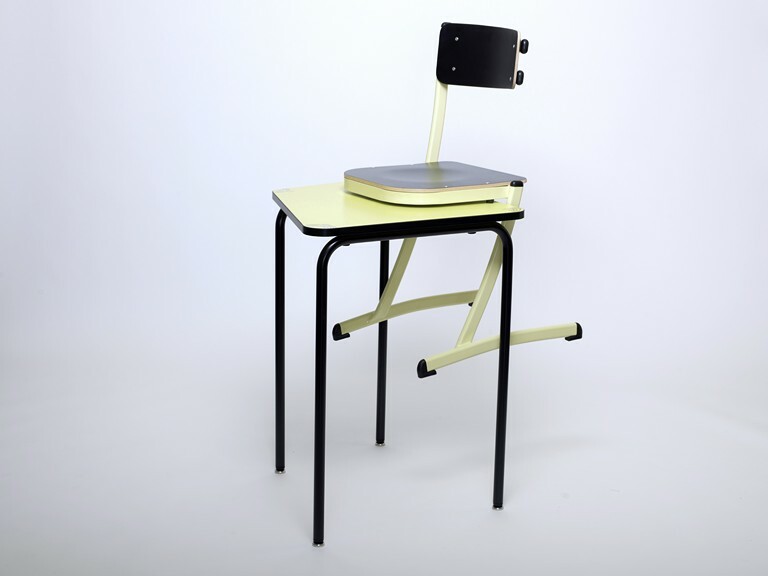 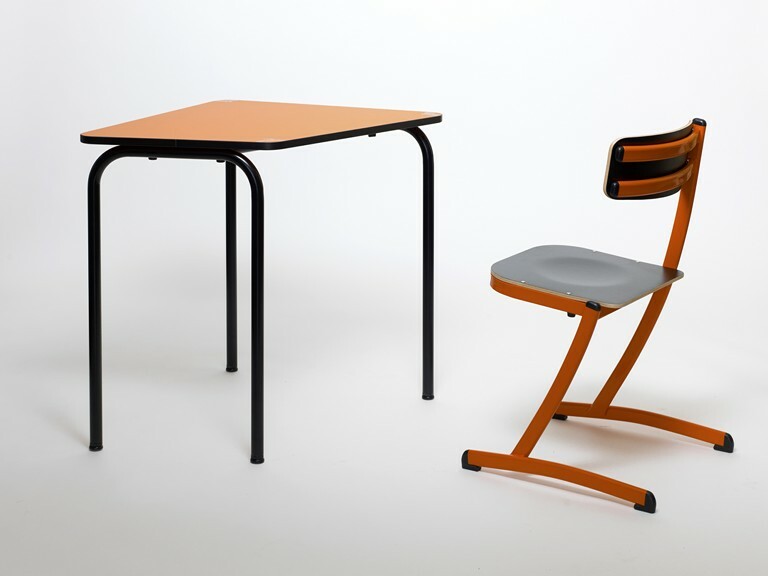 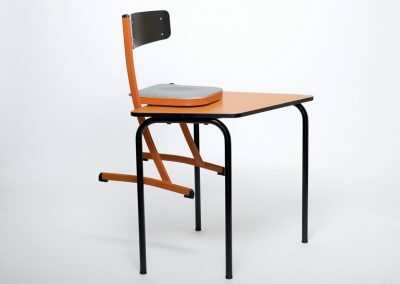 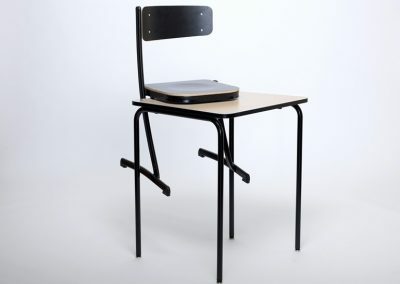 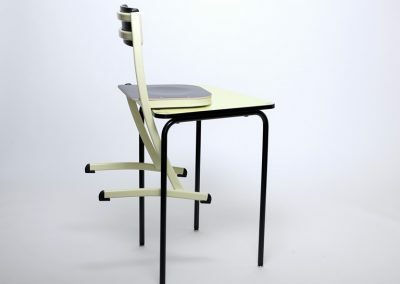 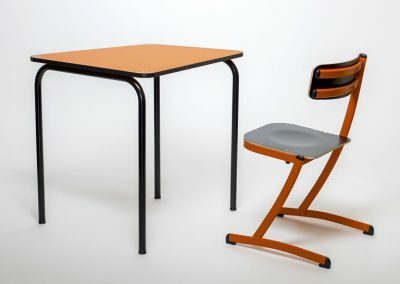 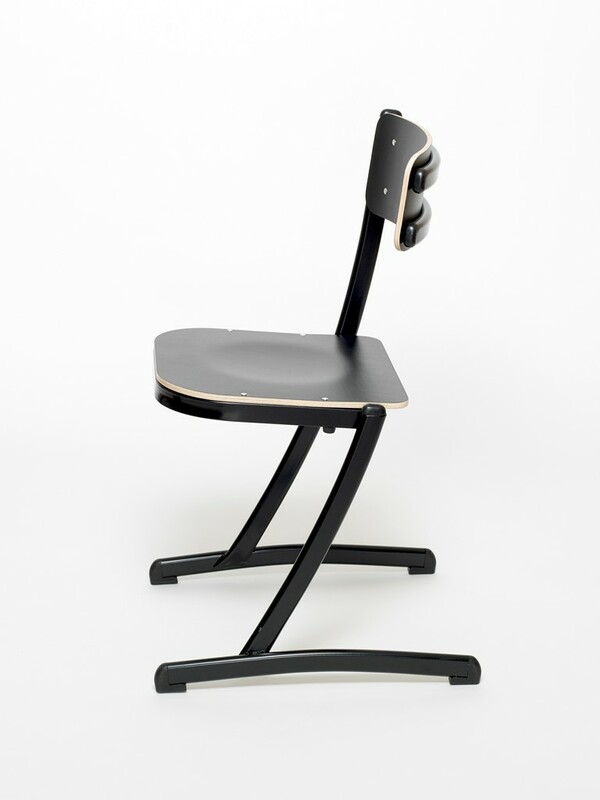 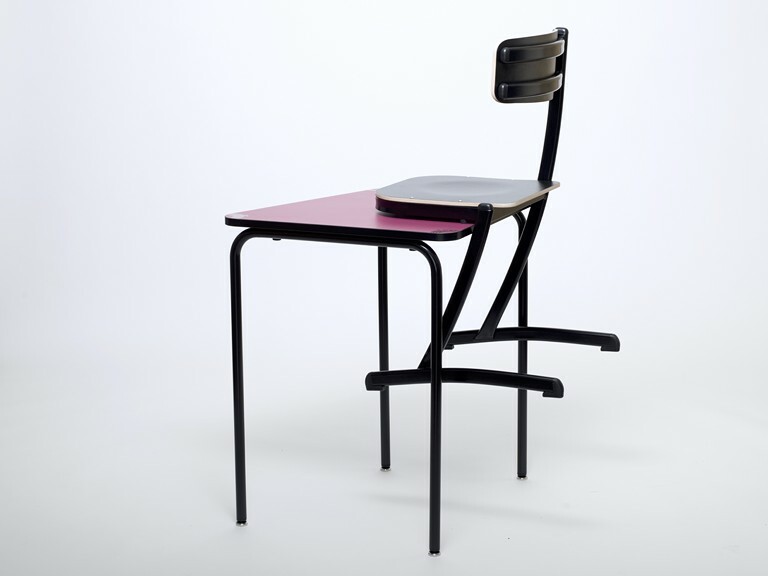 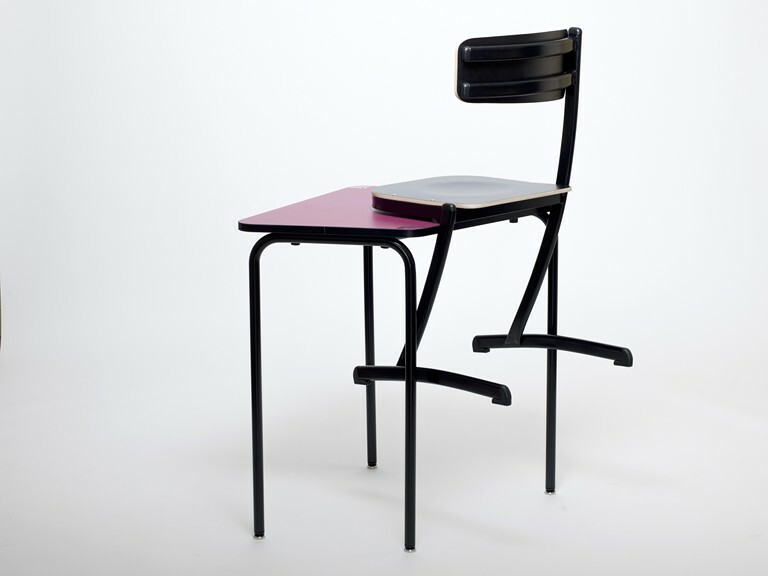 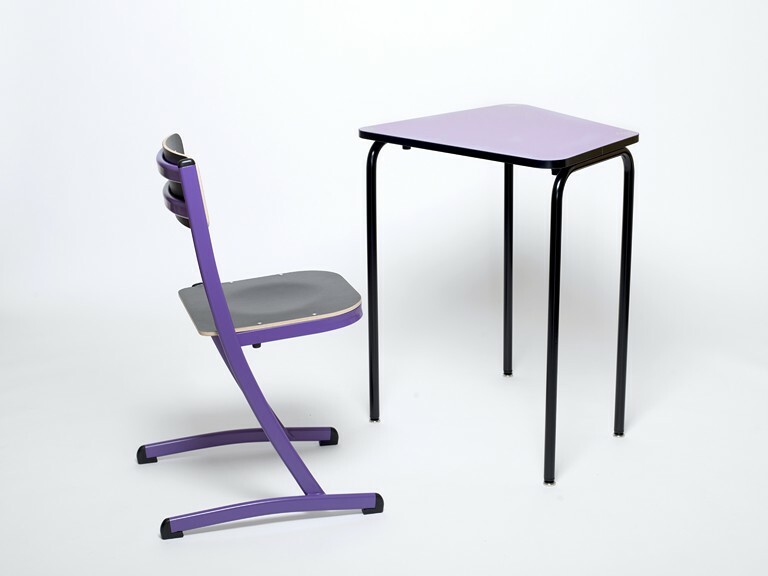 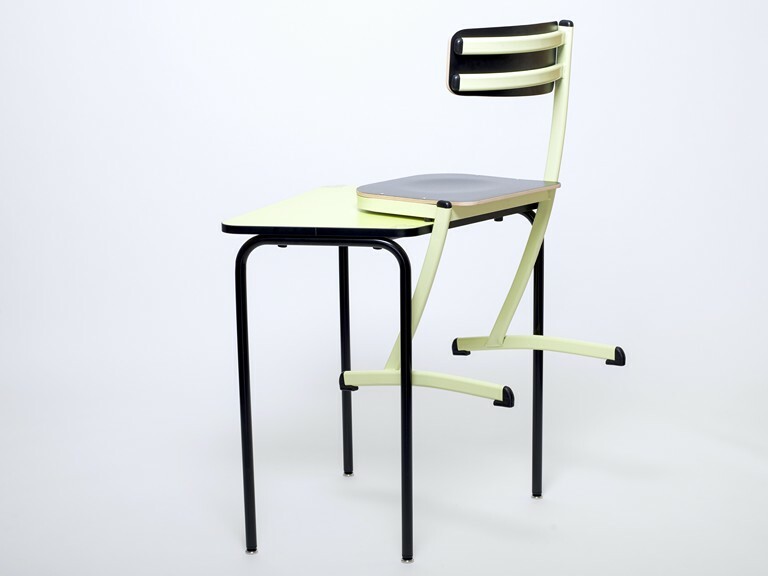 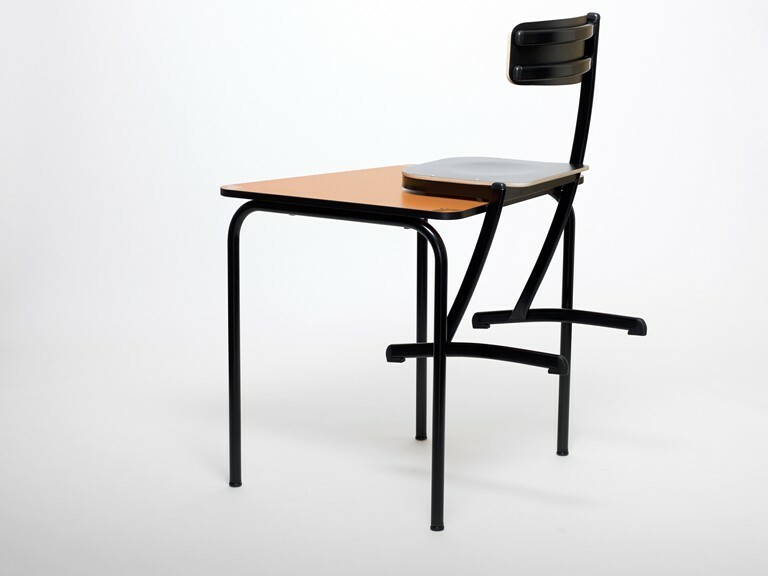 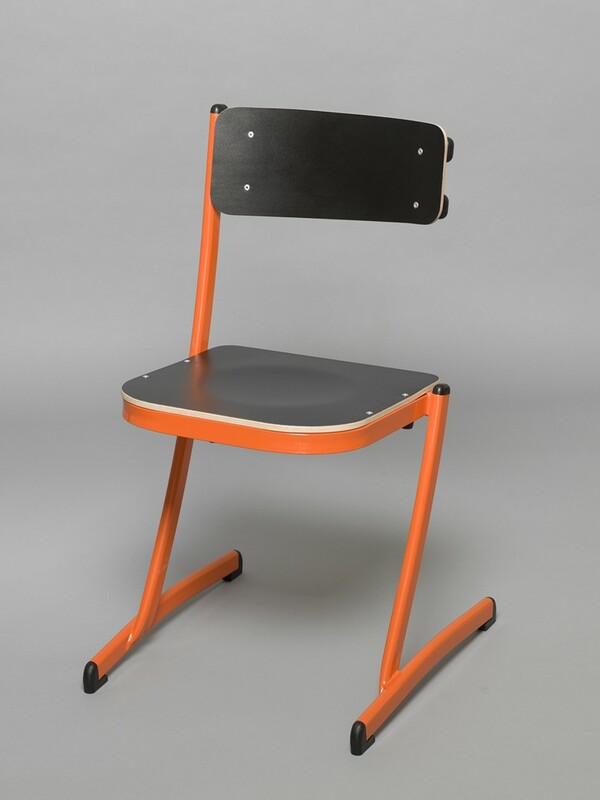 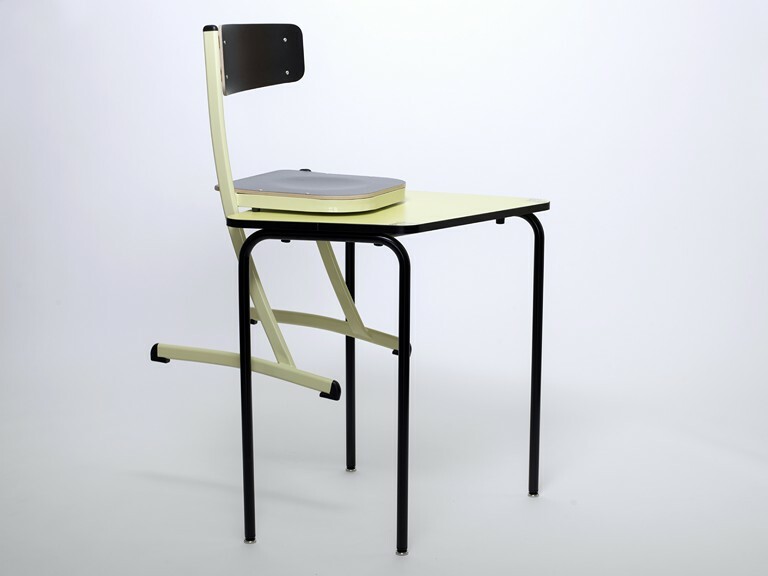 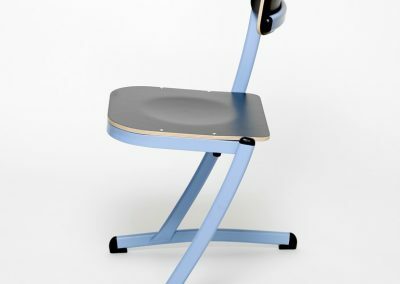 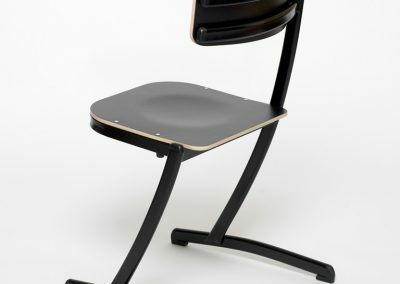 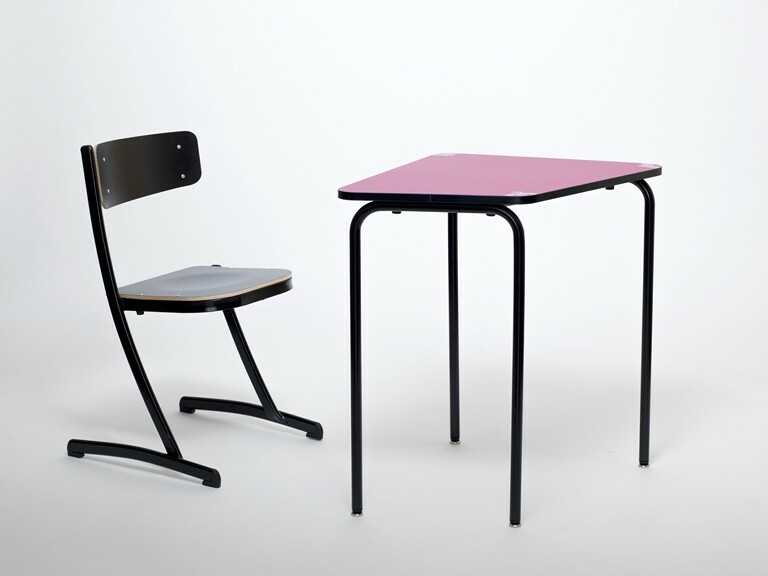 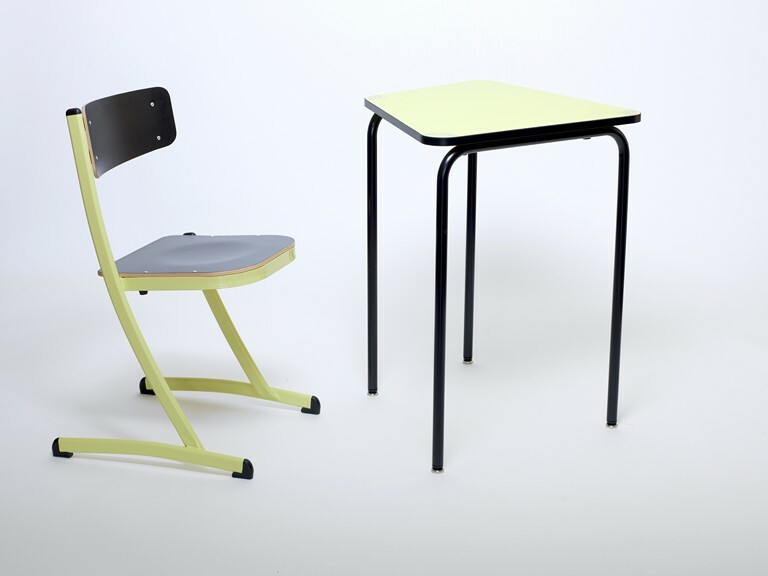 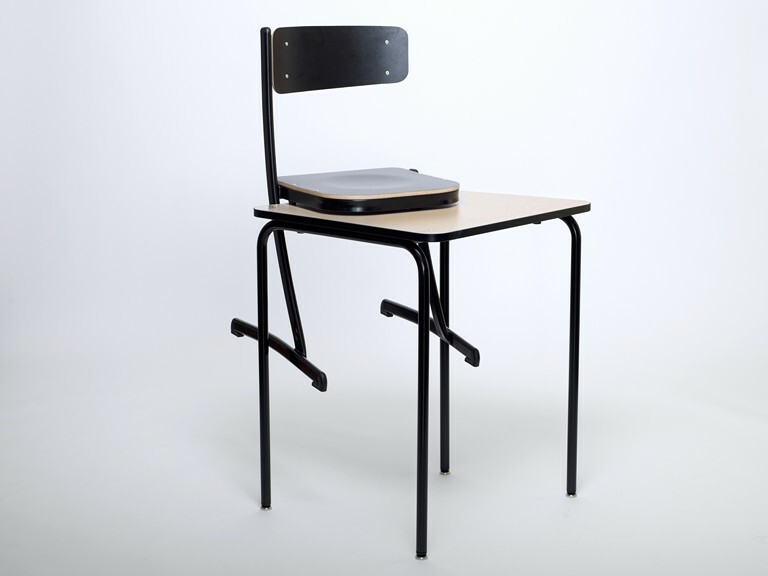 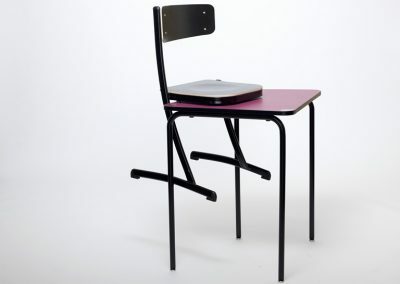 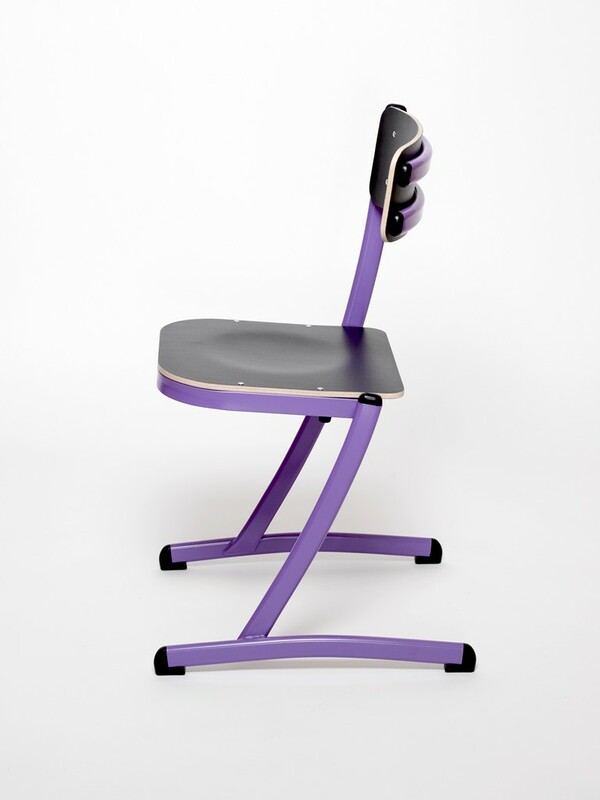 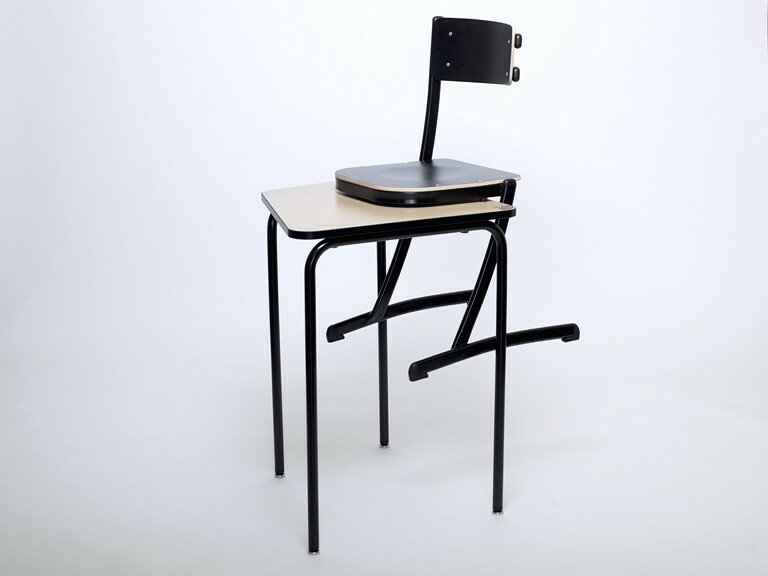 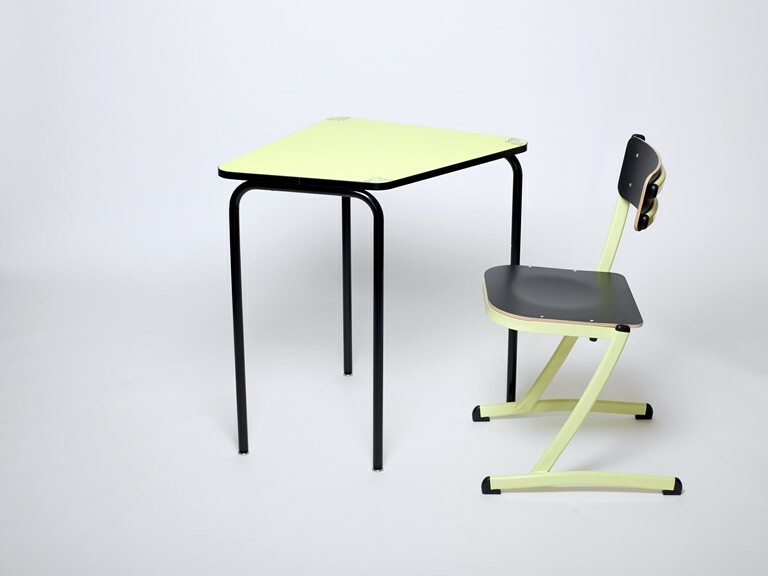 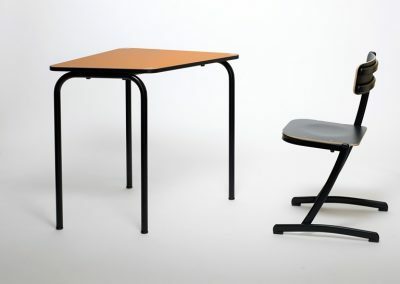 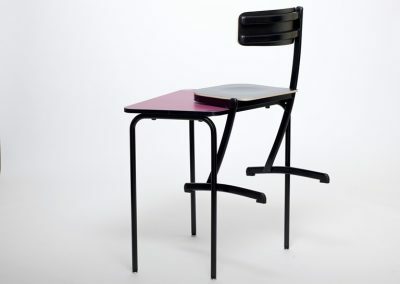 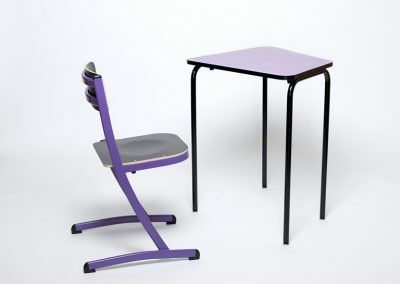 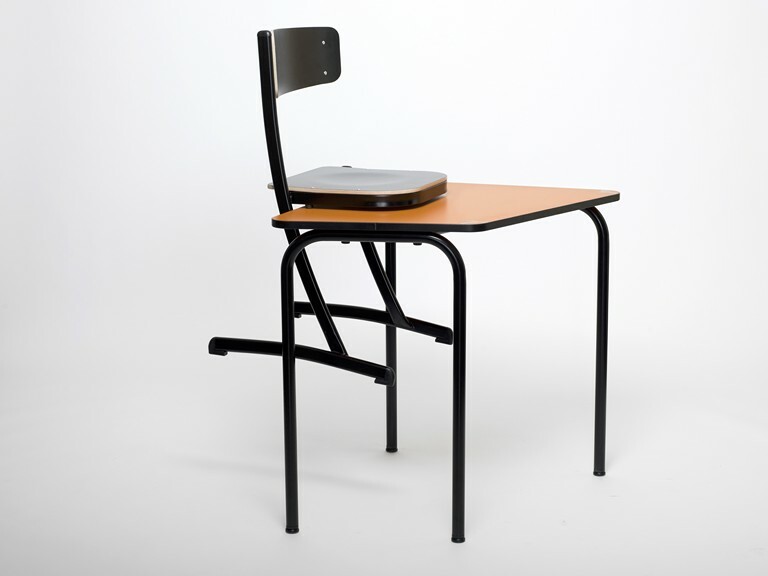 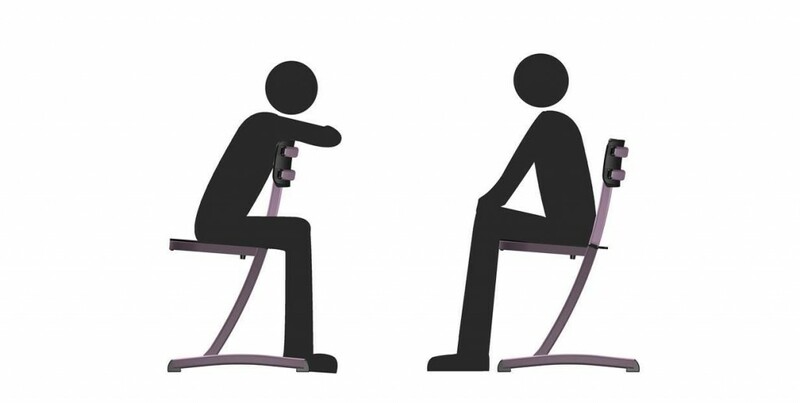 Ergonomic to adapt to students’ expectations. 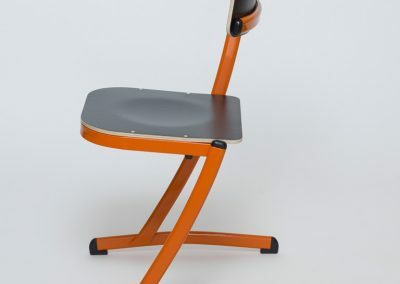 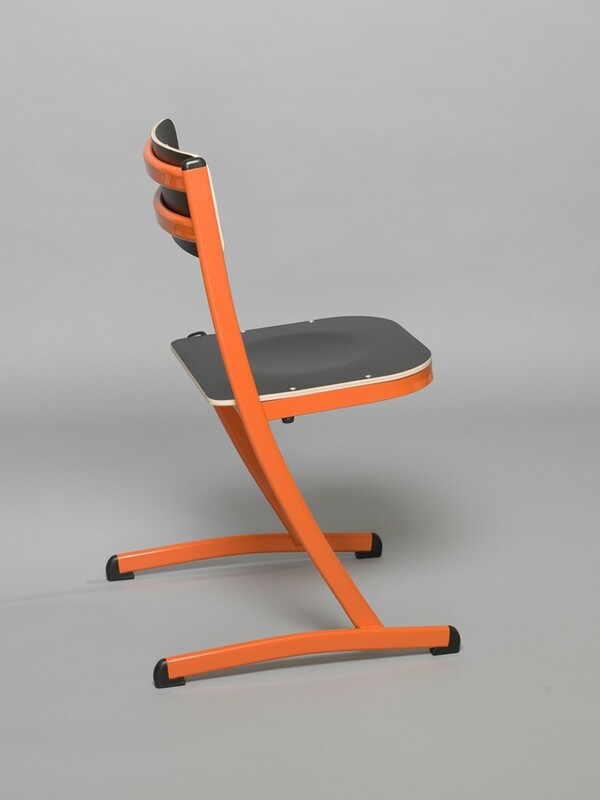 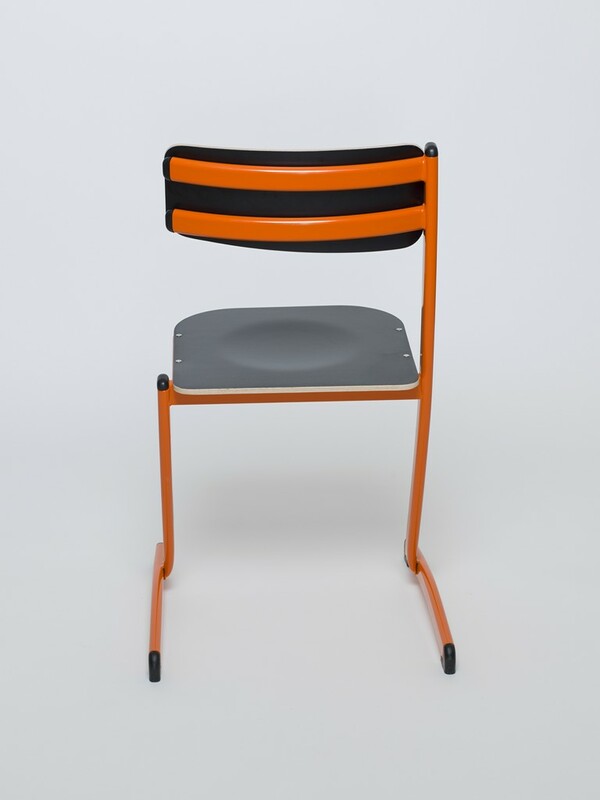 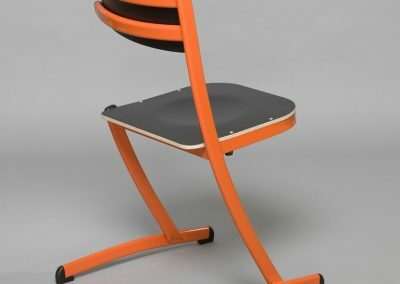 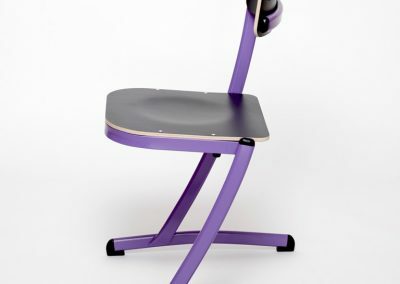 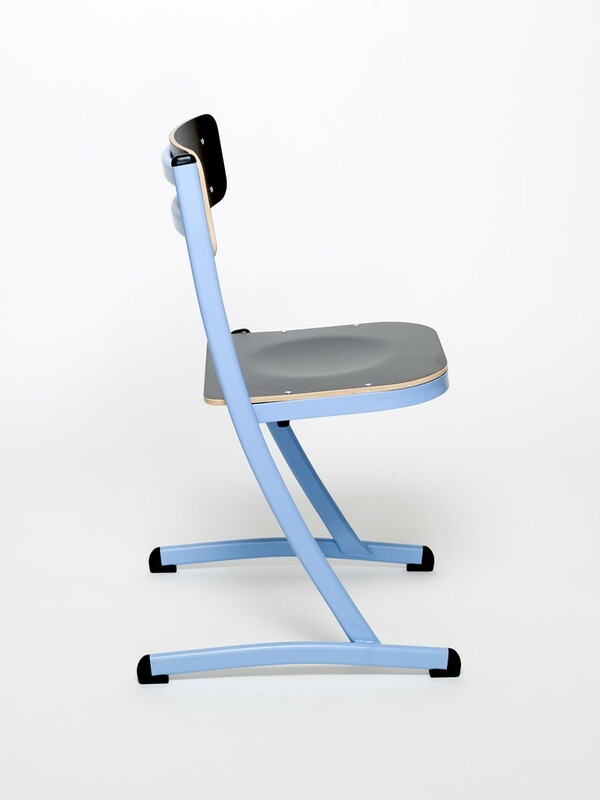 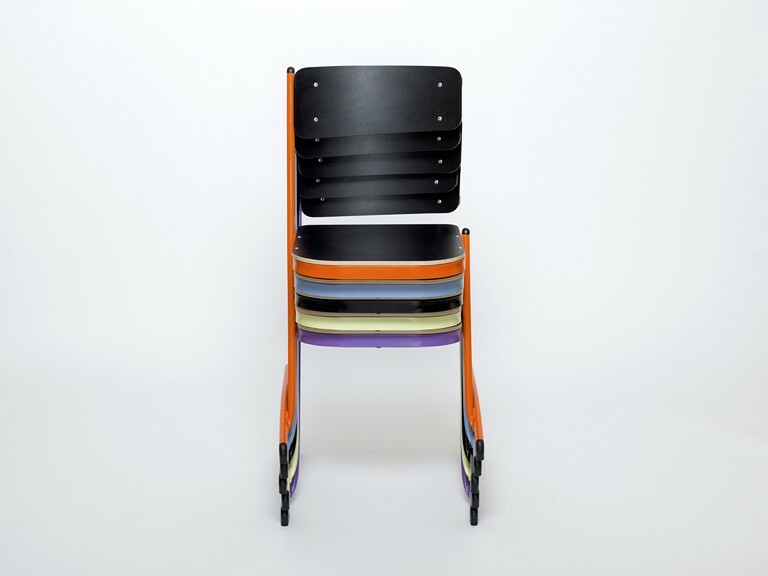 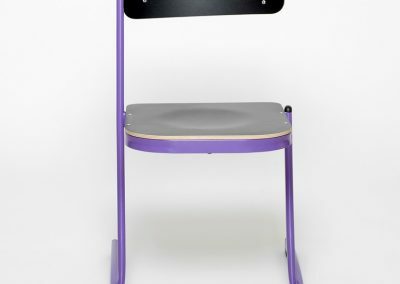 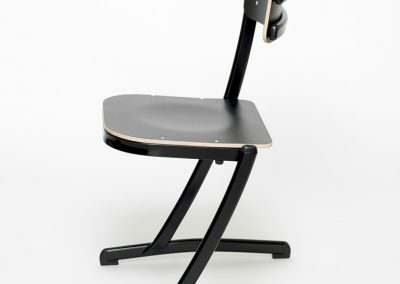 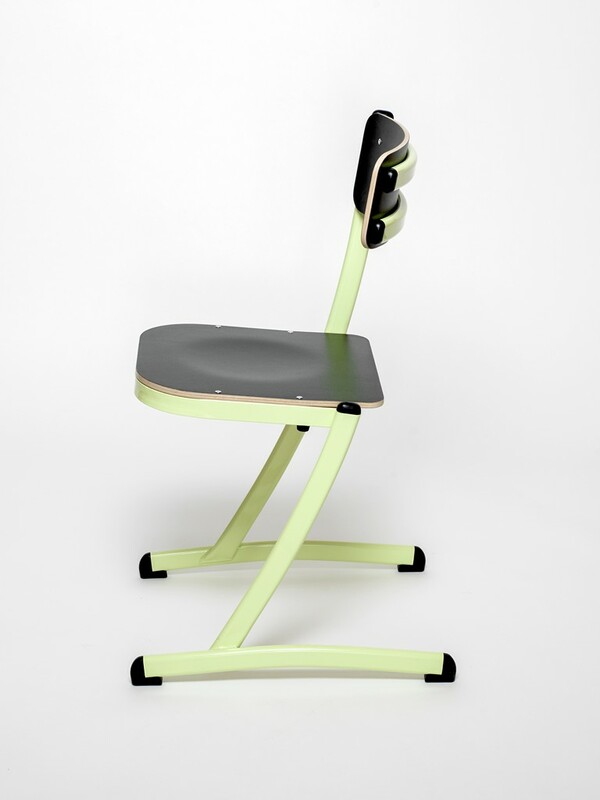 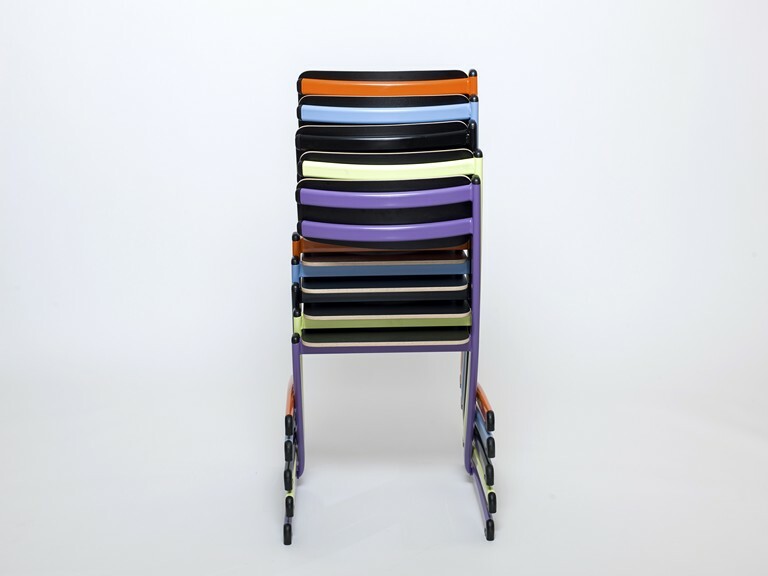 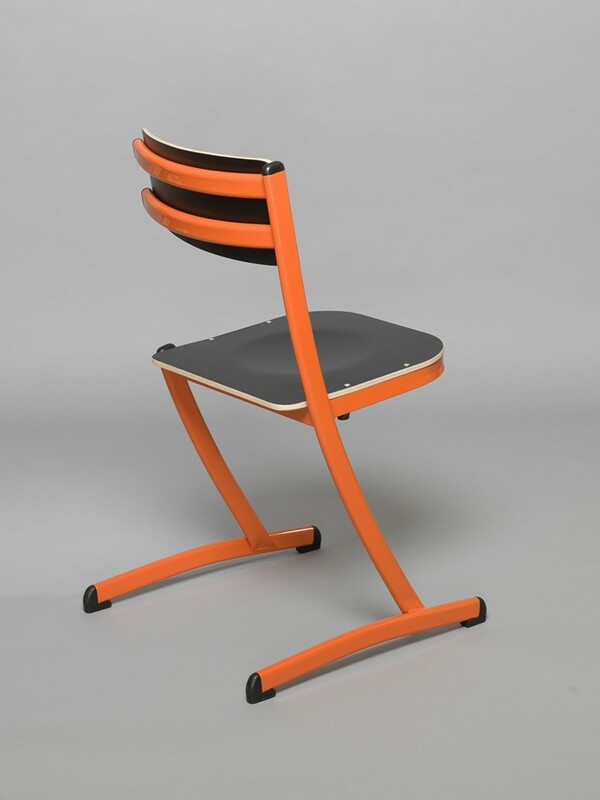 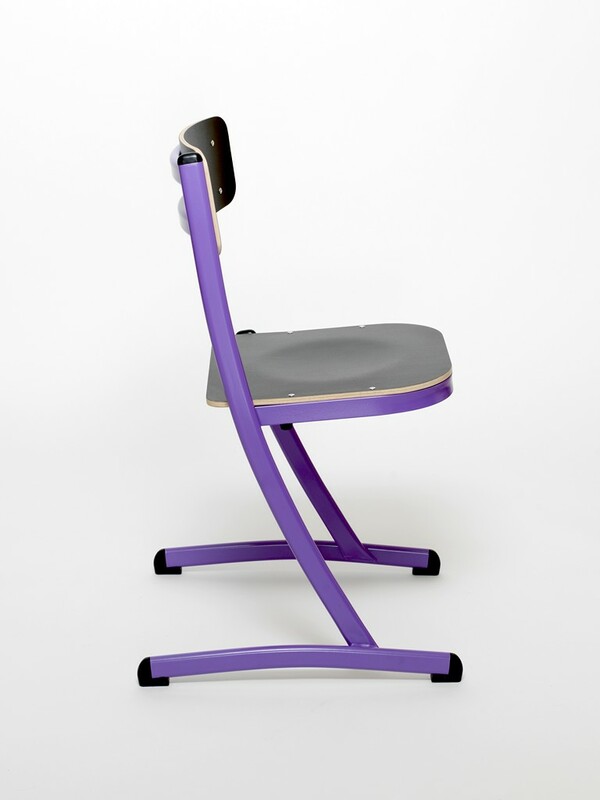 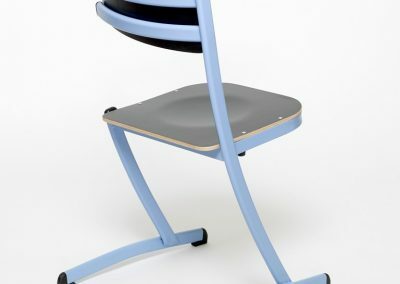 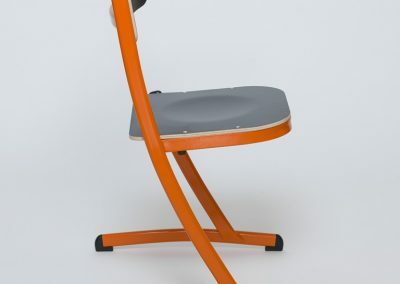 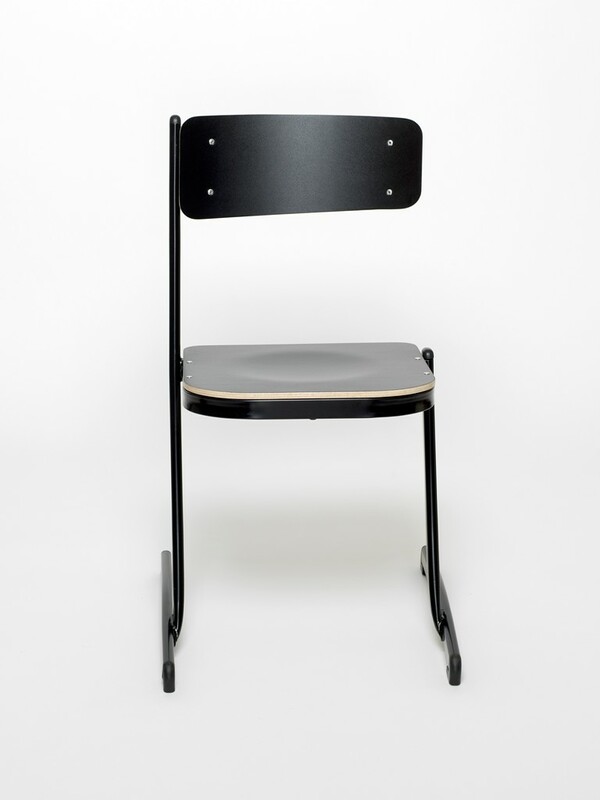 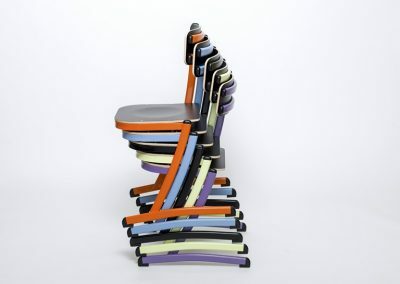 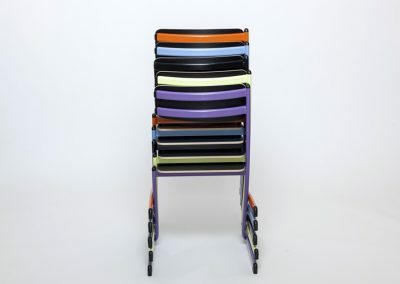 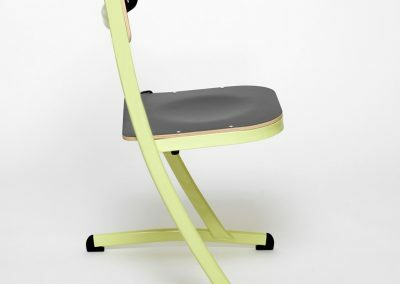 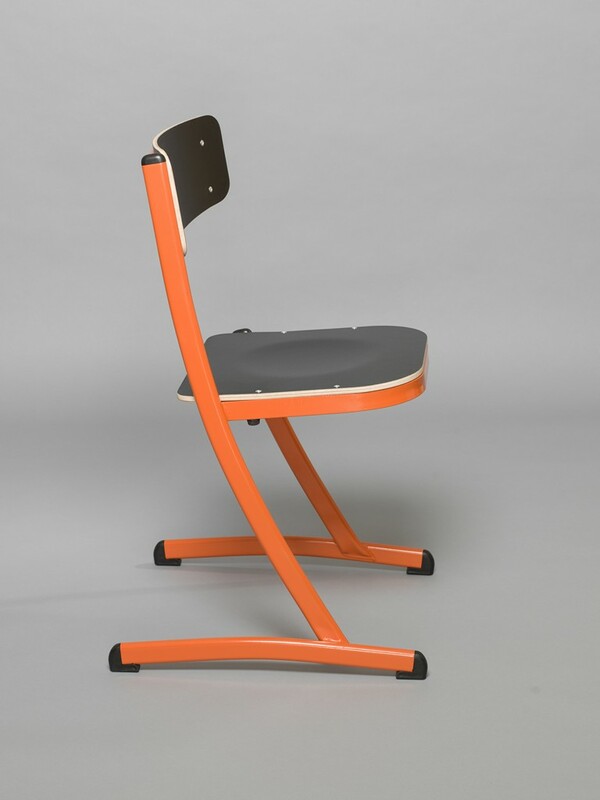 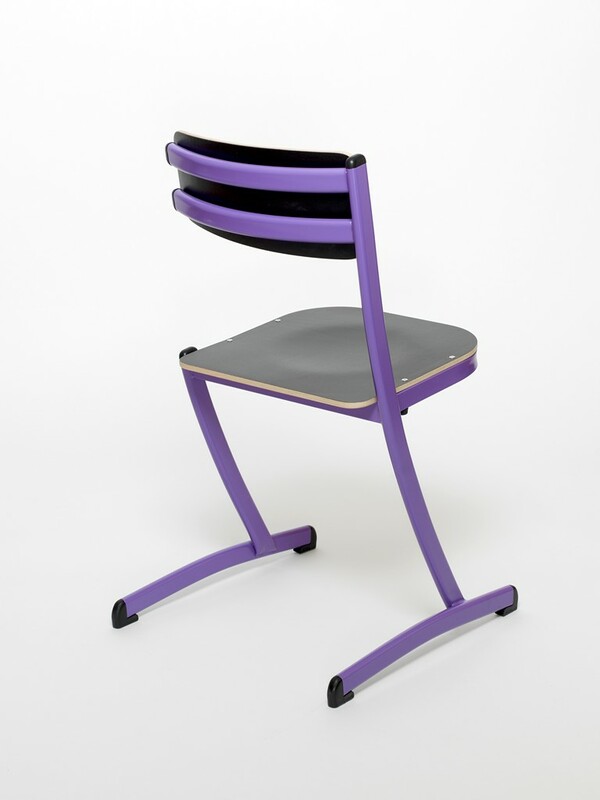 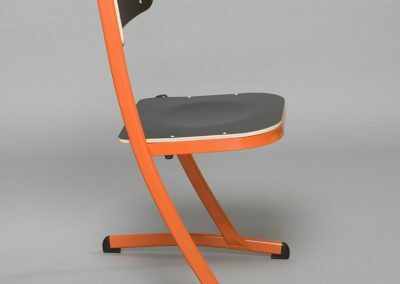 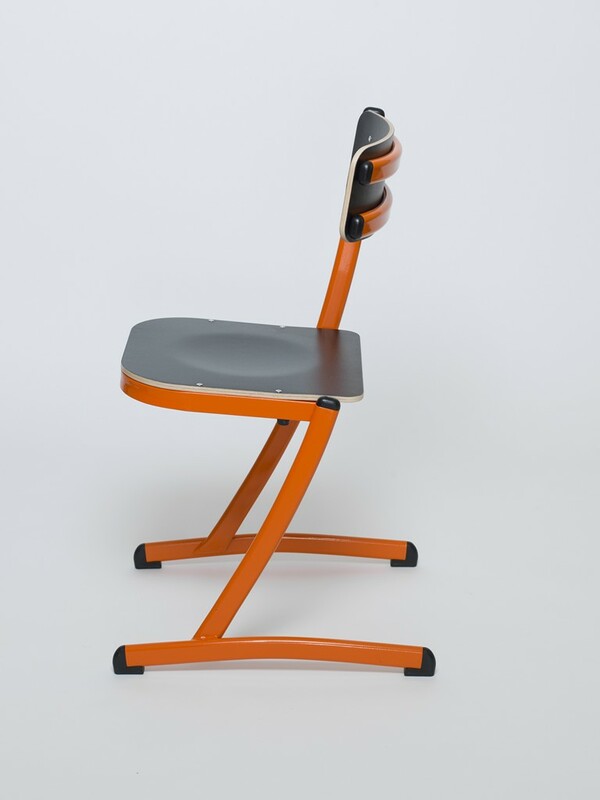 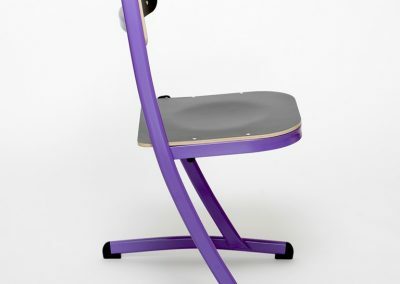 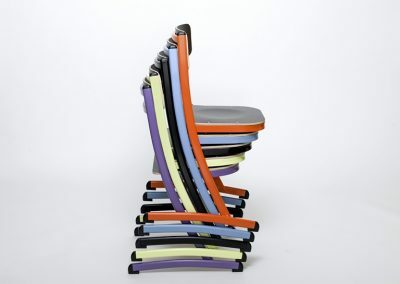 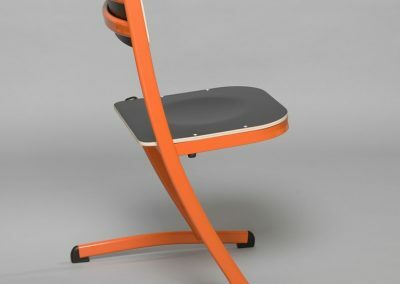 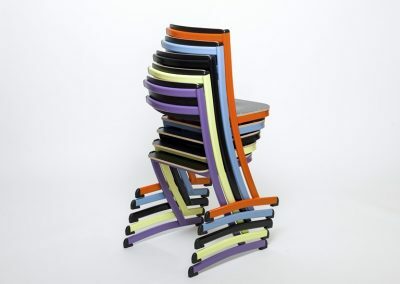 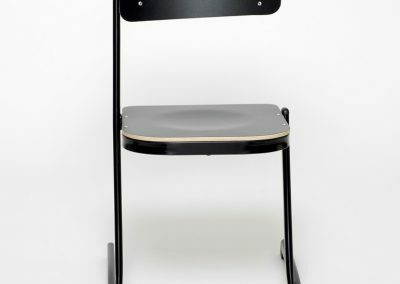 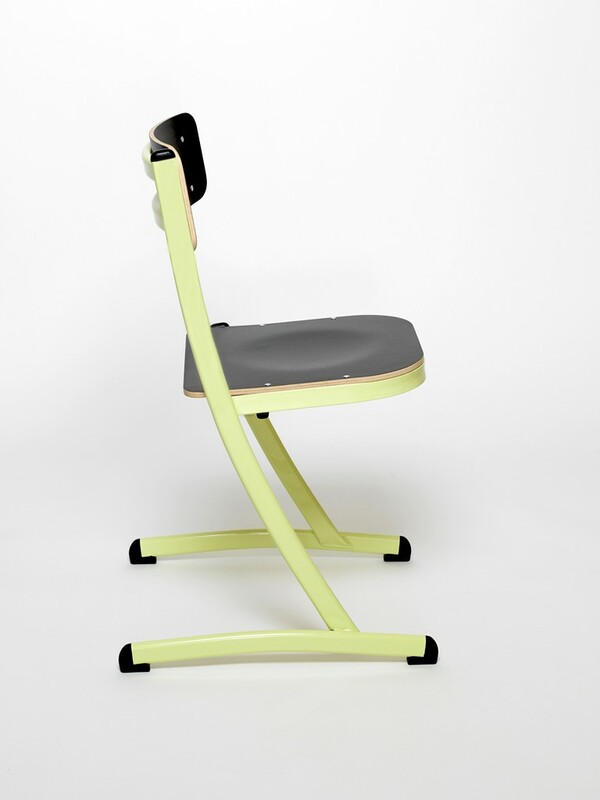 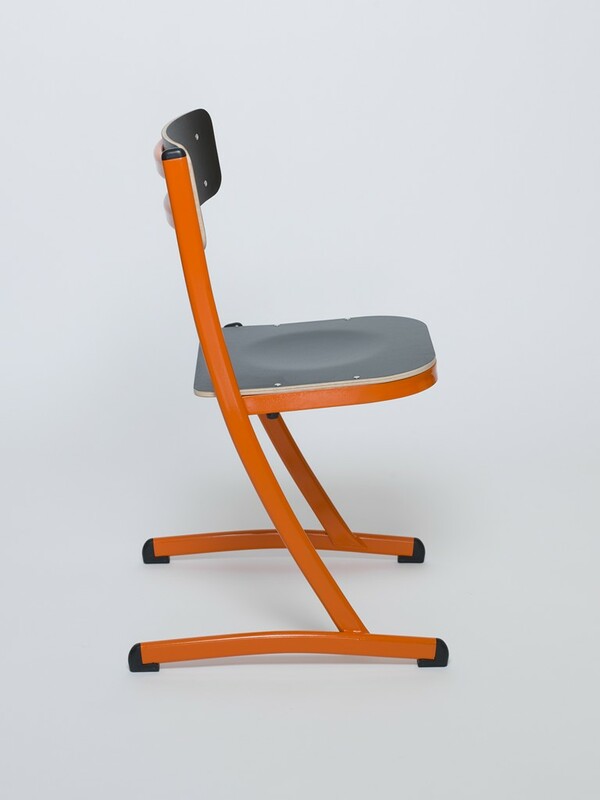 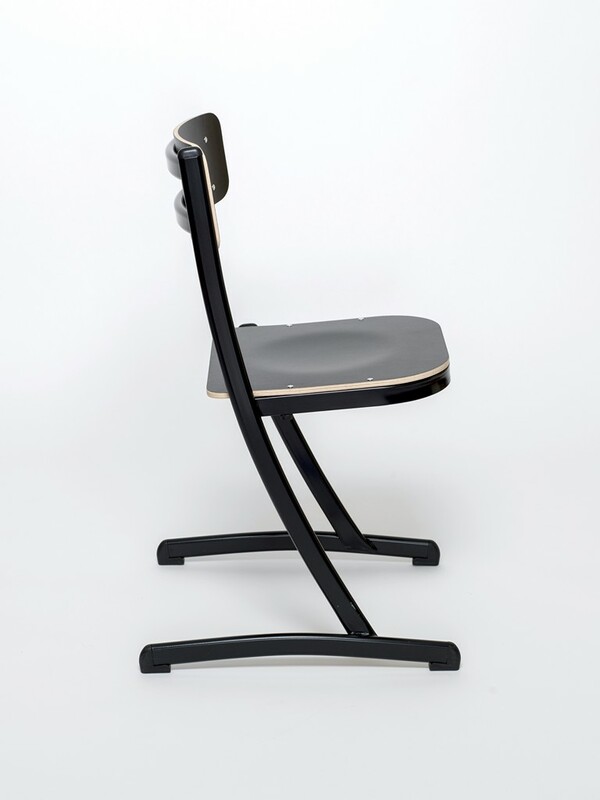 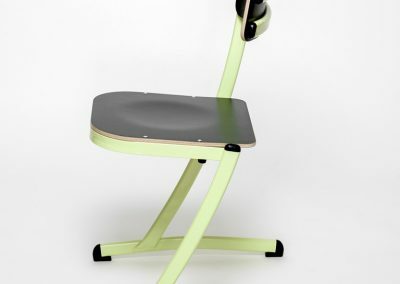 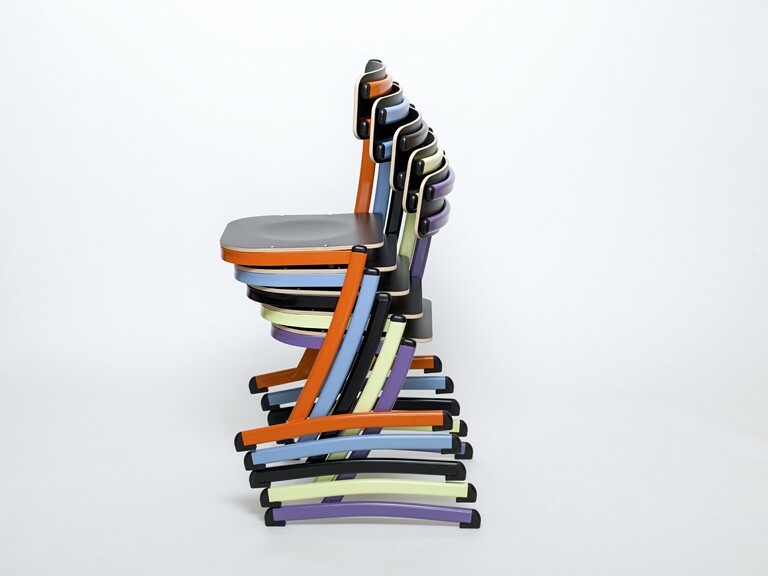 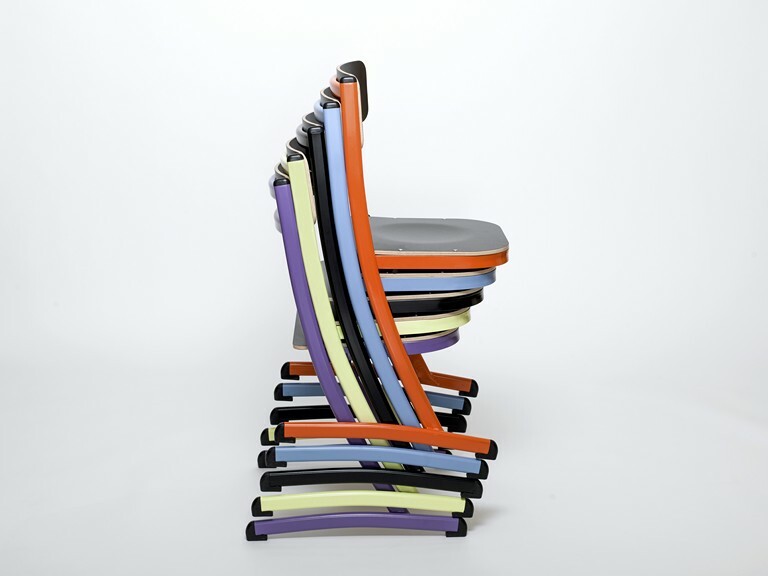 It makes it possible to sit down with the backrest in front or behind. 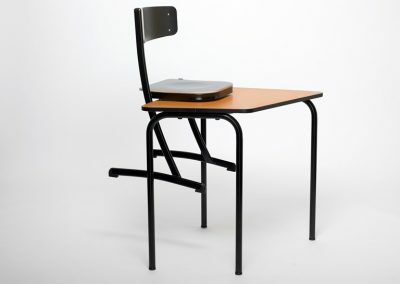 During group work, the student can quickly and easily turn to face the board, in complete silence. 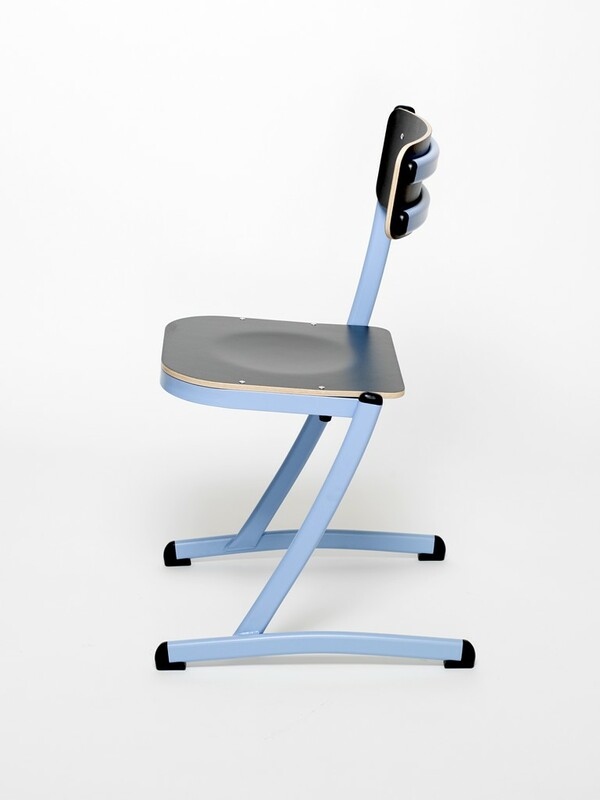 This feature is a real time-saver for the classroom cleaning staff. 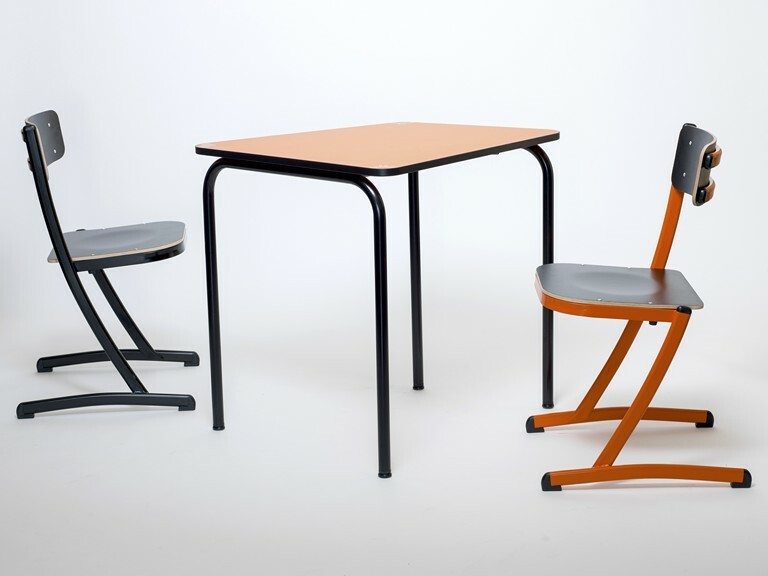 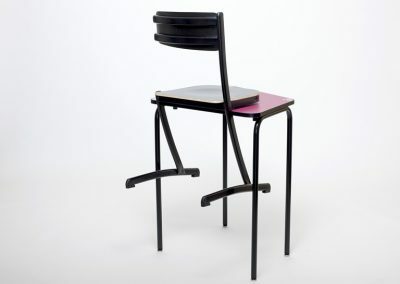 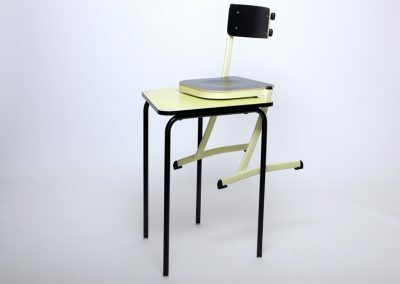 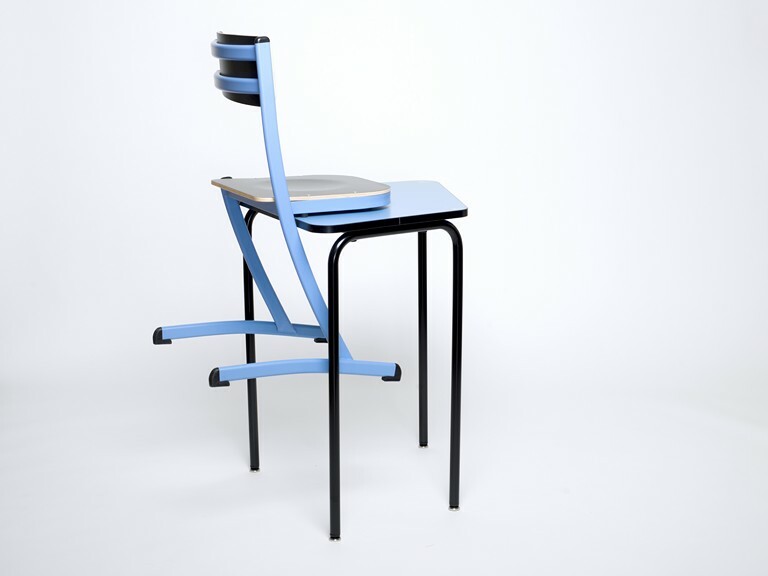 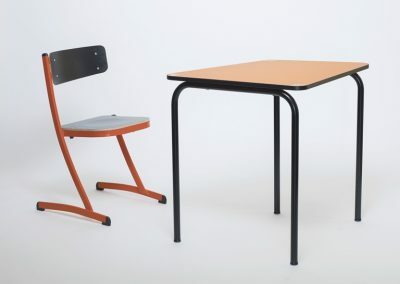 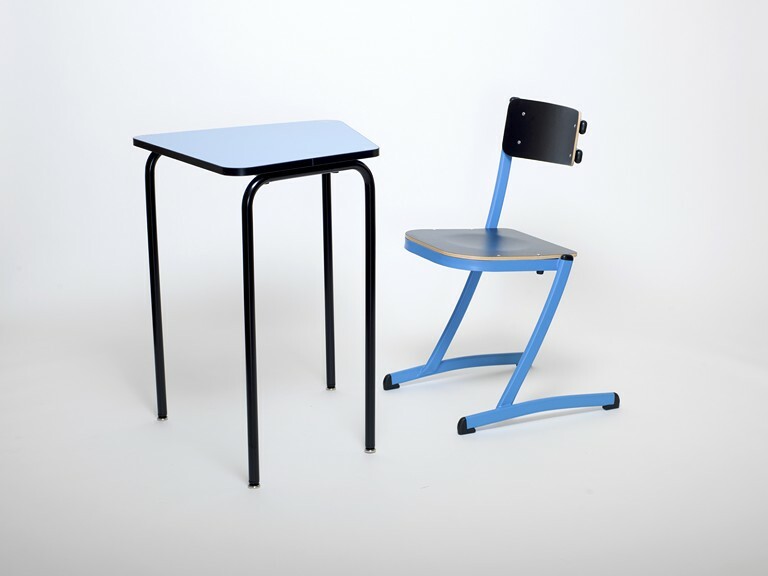 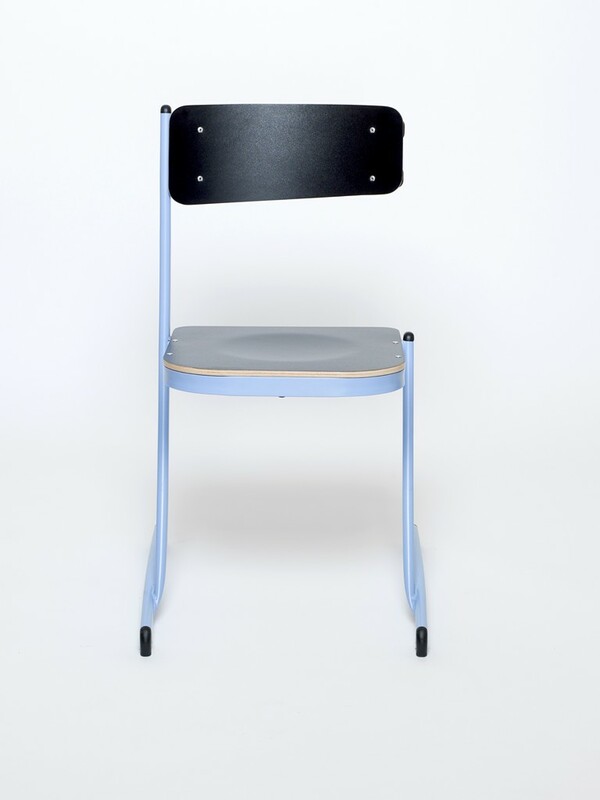 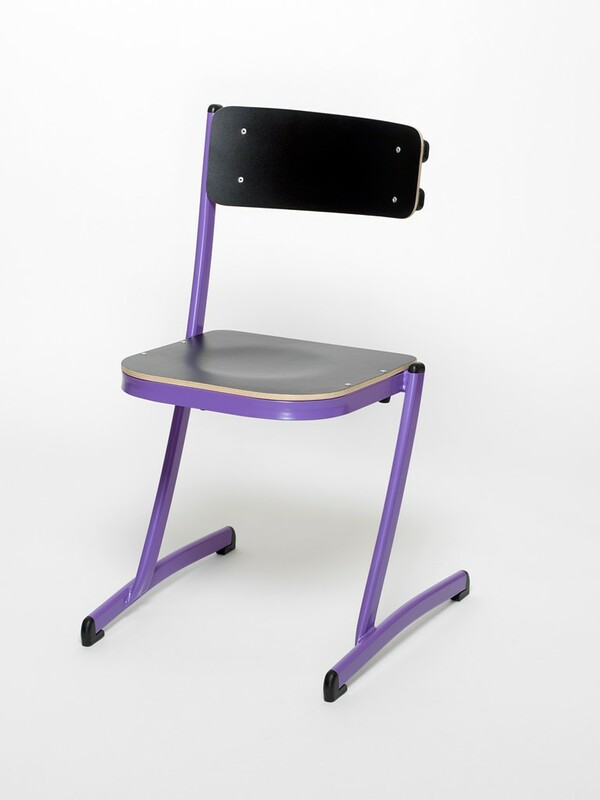 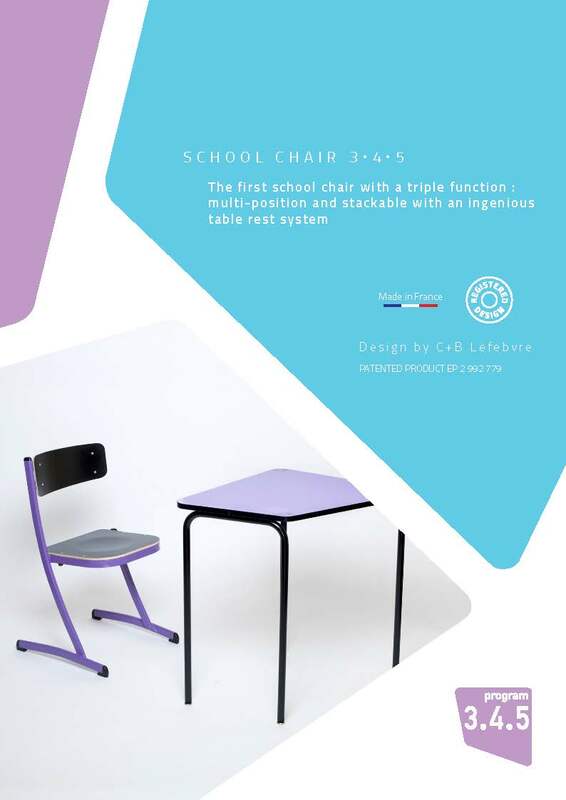 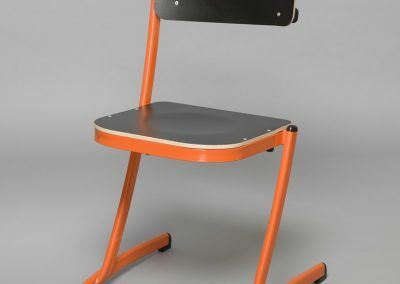 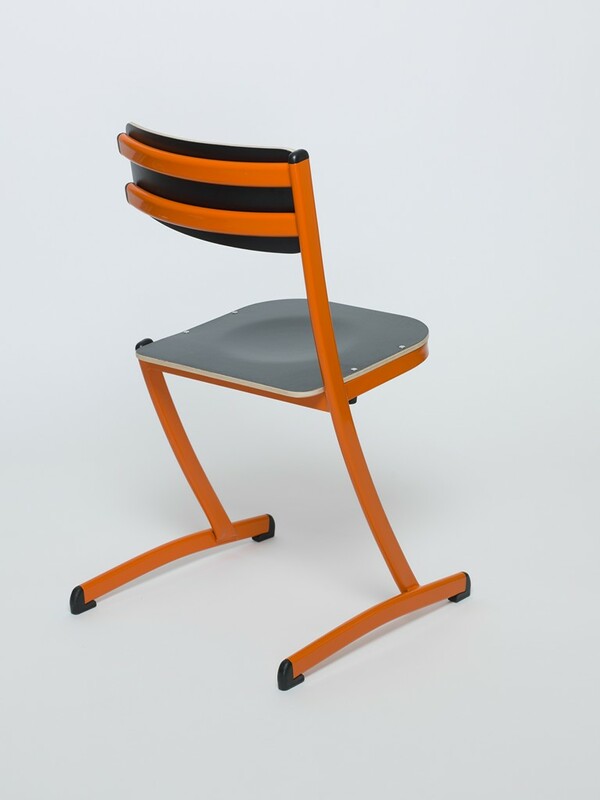 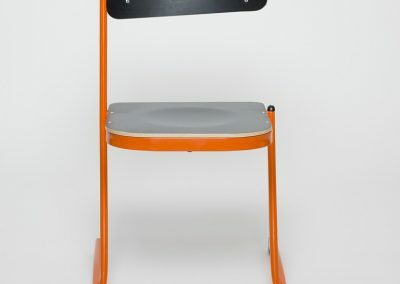 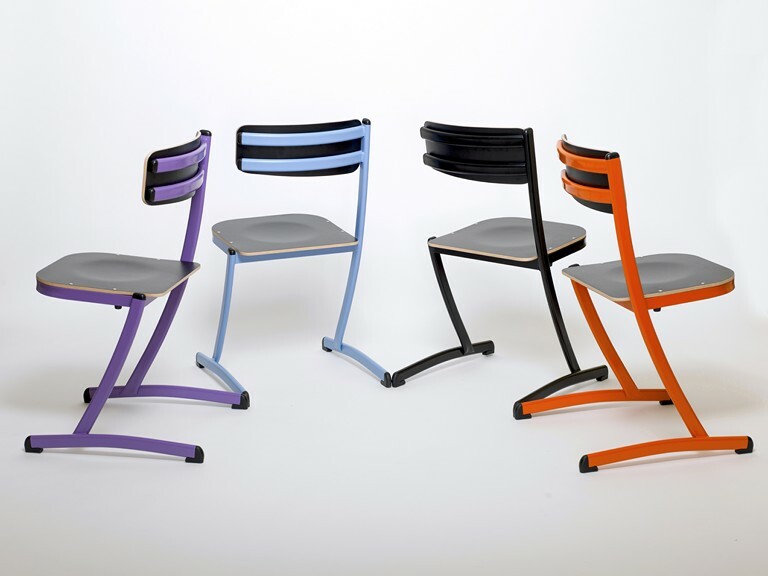 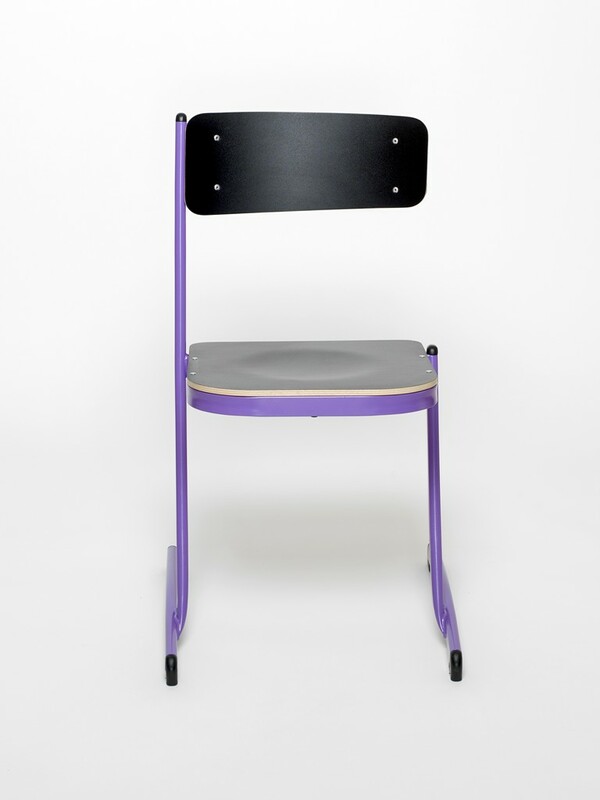 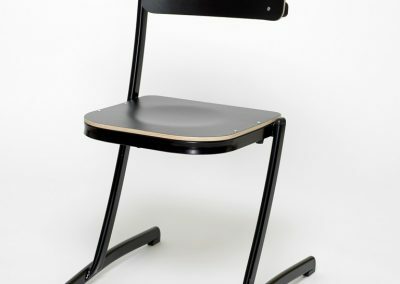 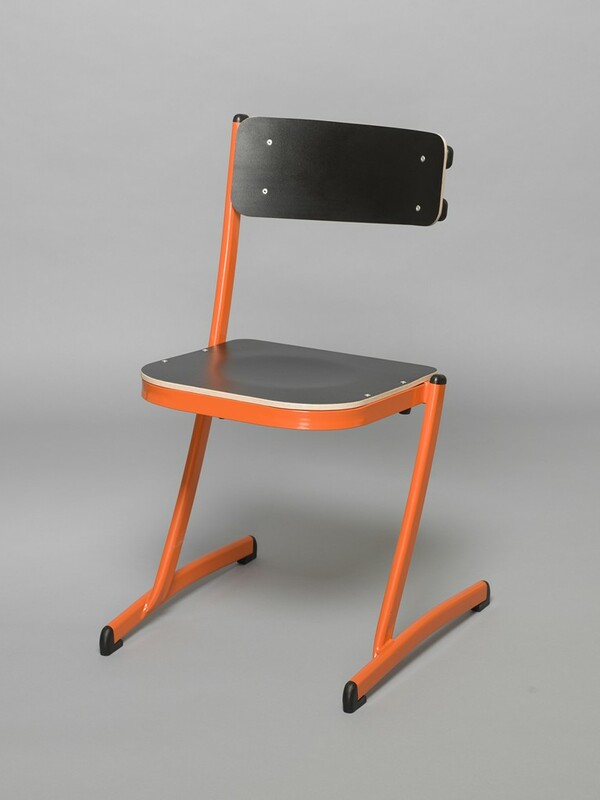 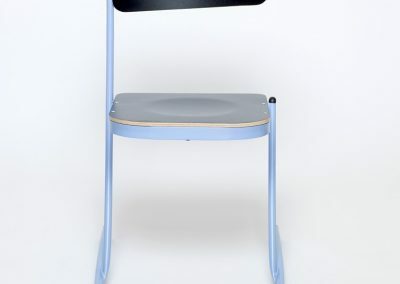 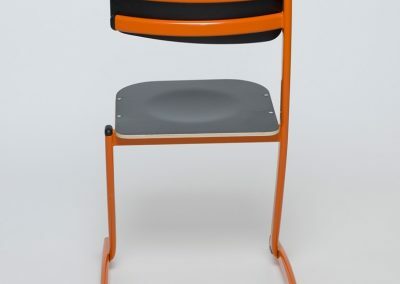 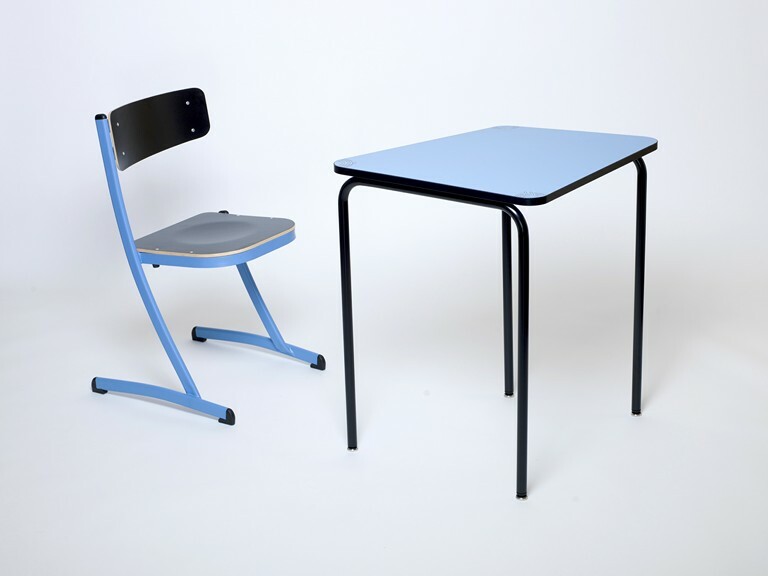 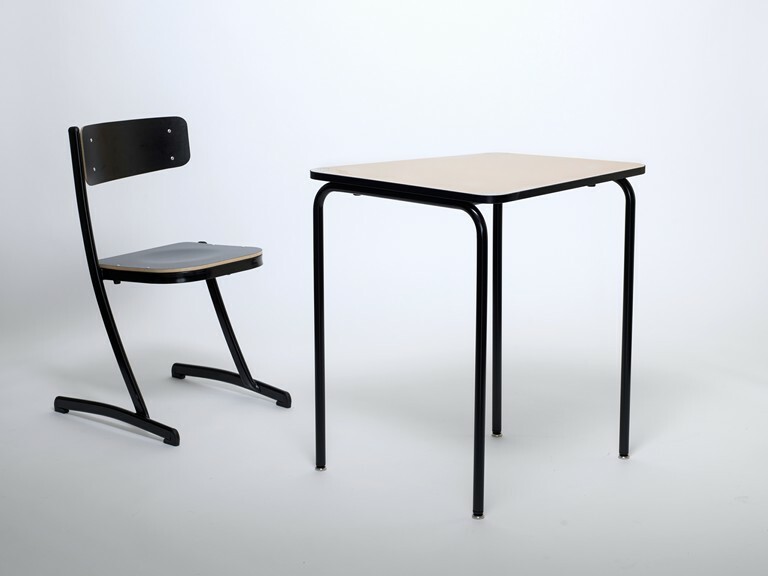 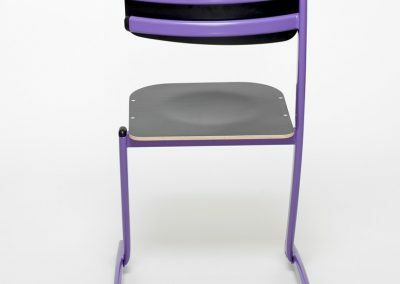 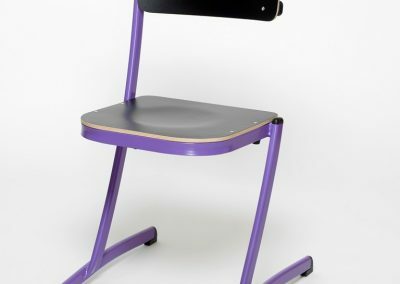 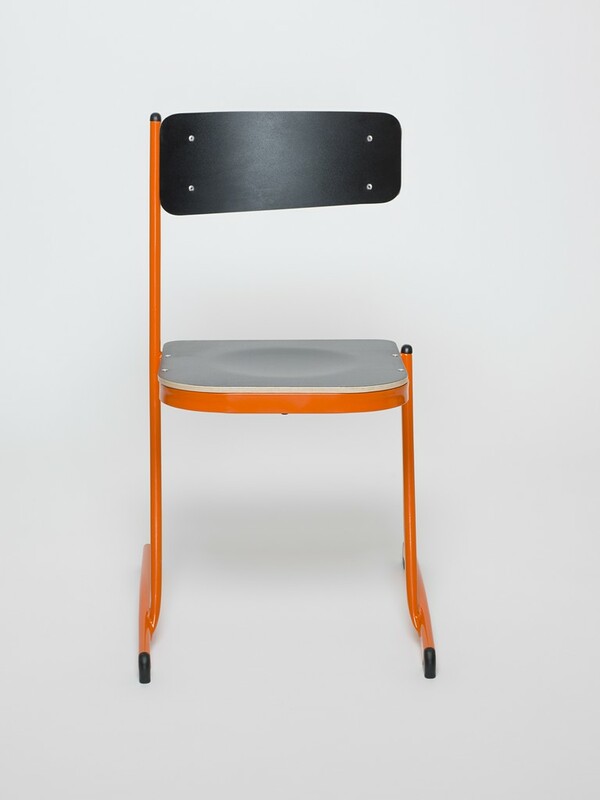 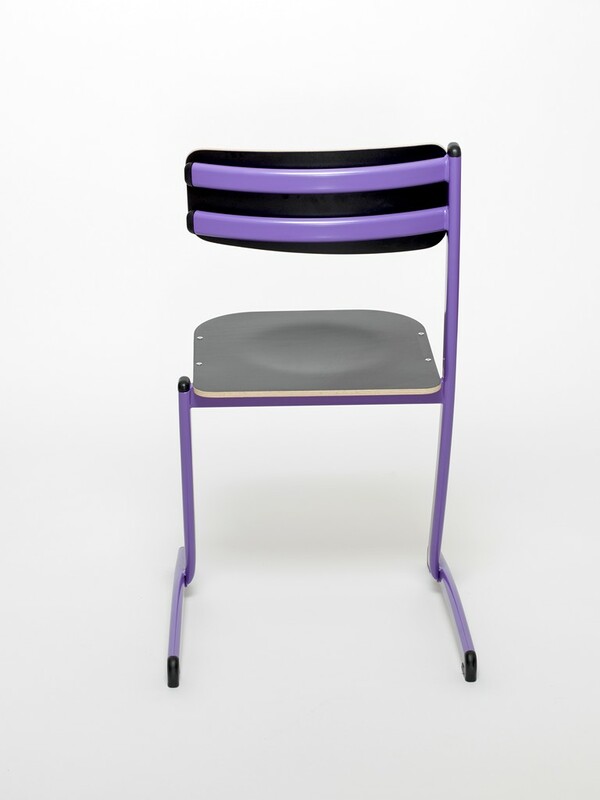 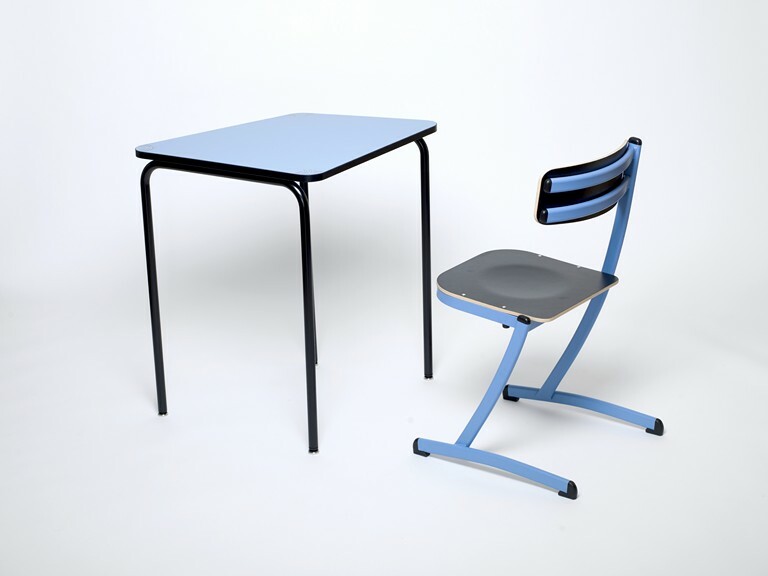 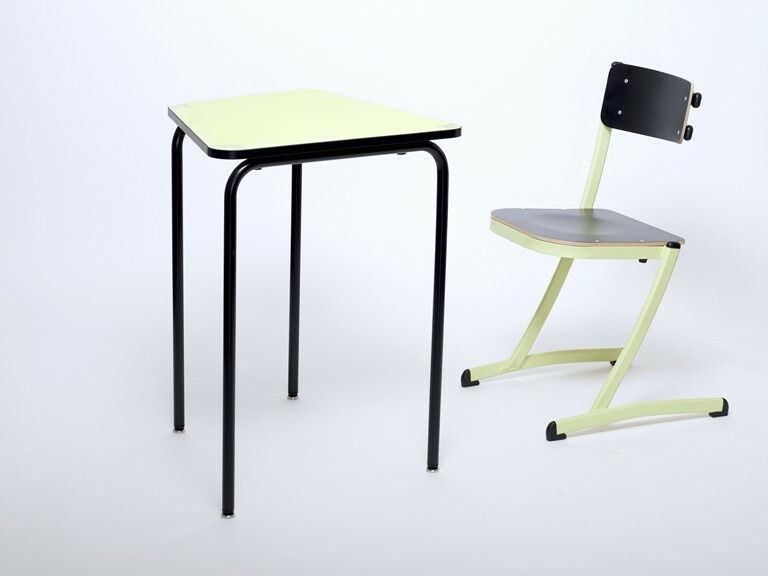 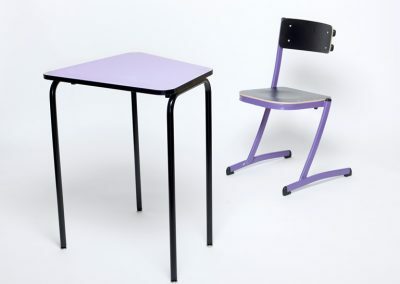 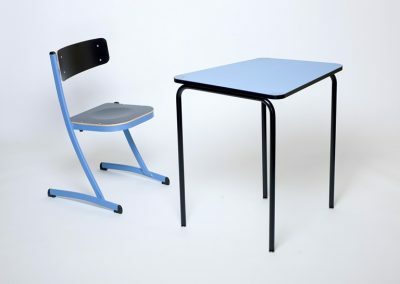 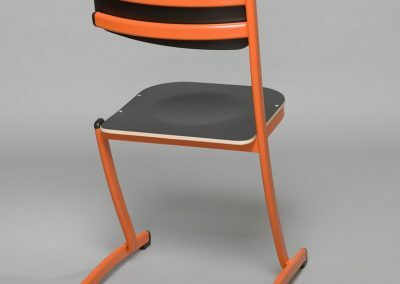 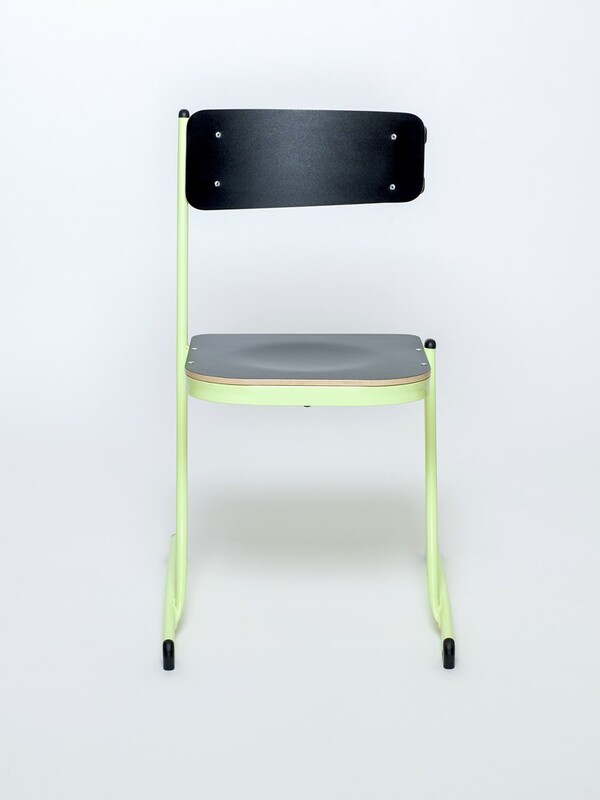 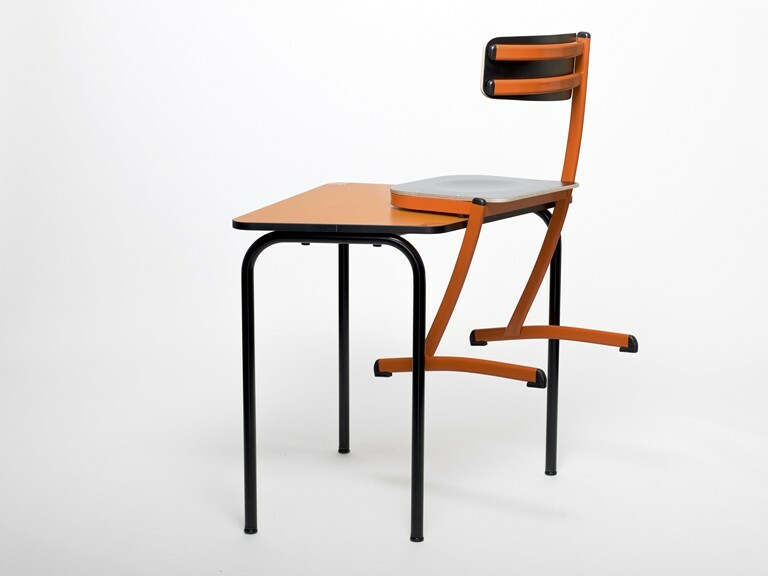 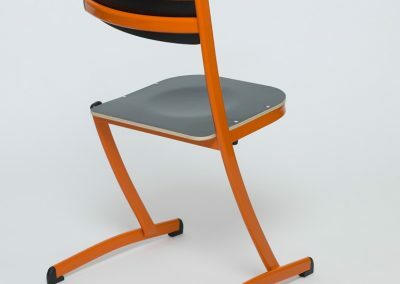 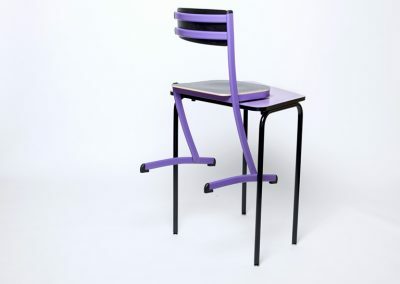 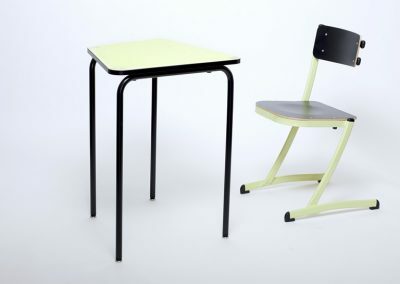 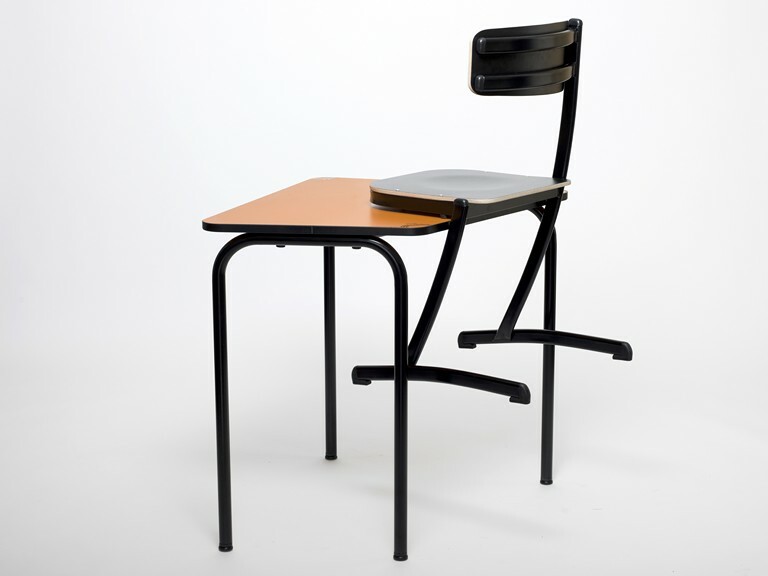 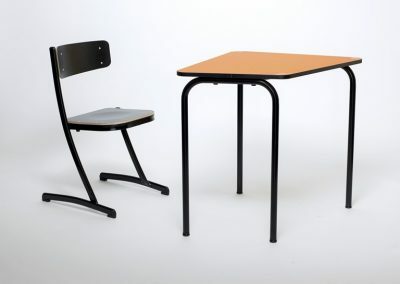 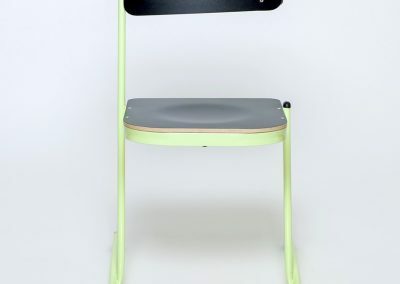 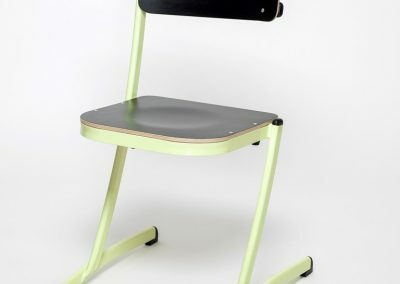 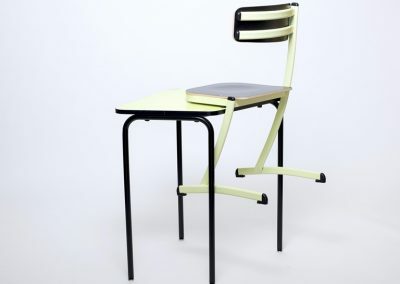 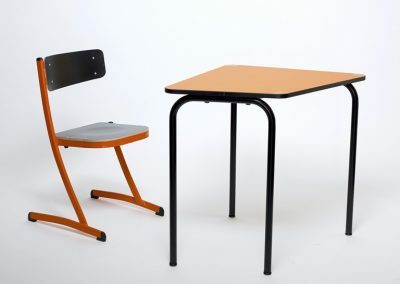 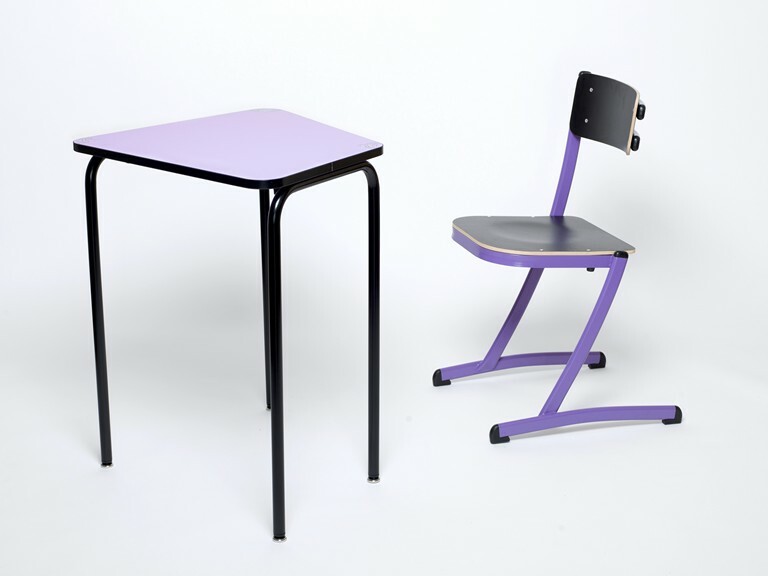 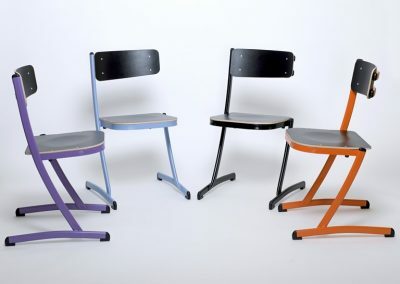 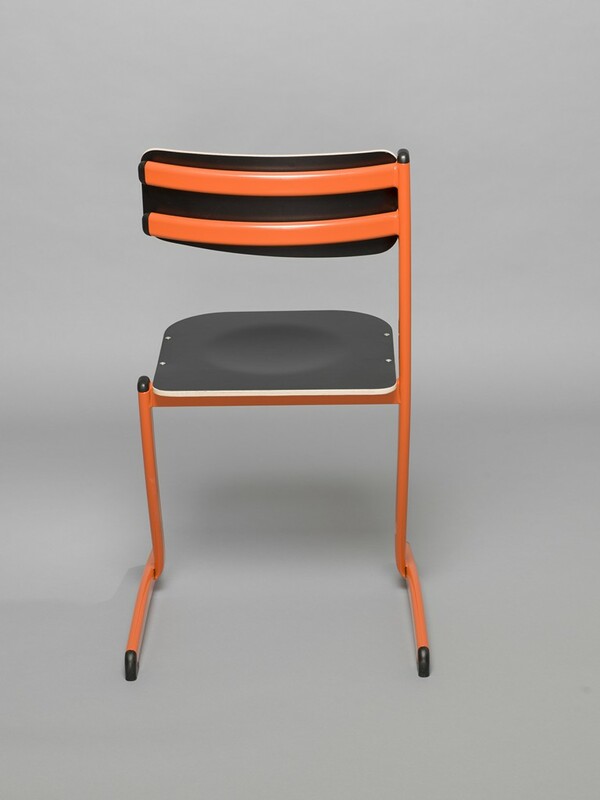 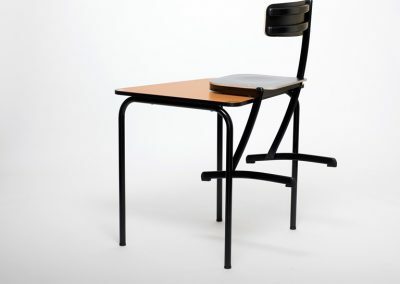 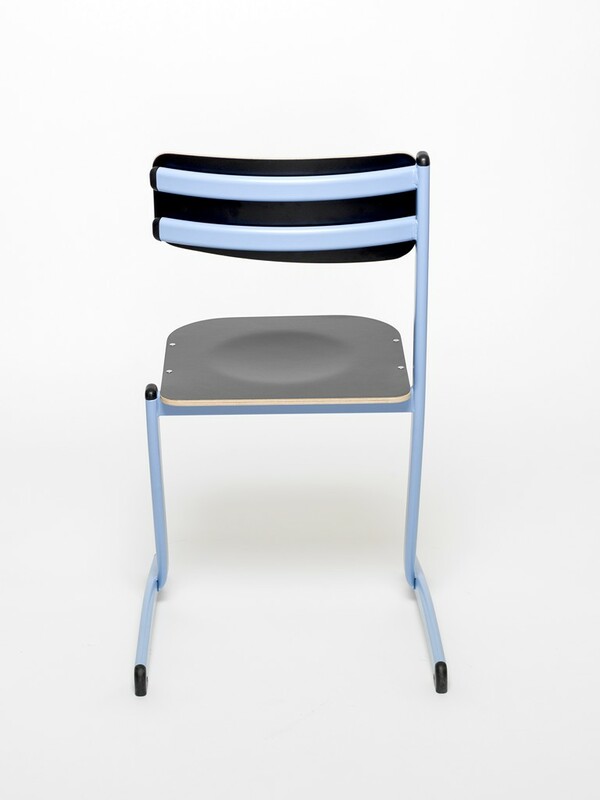 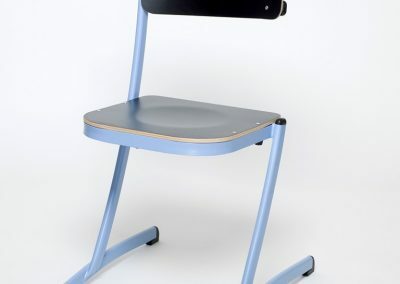 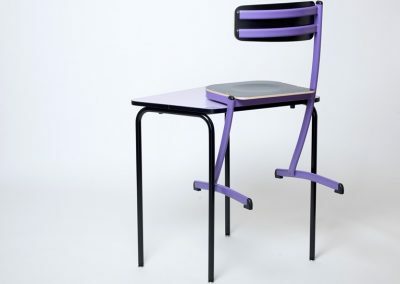 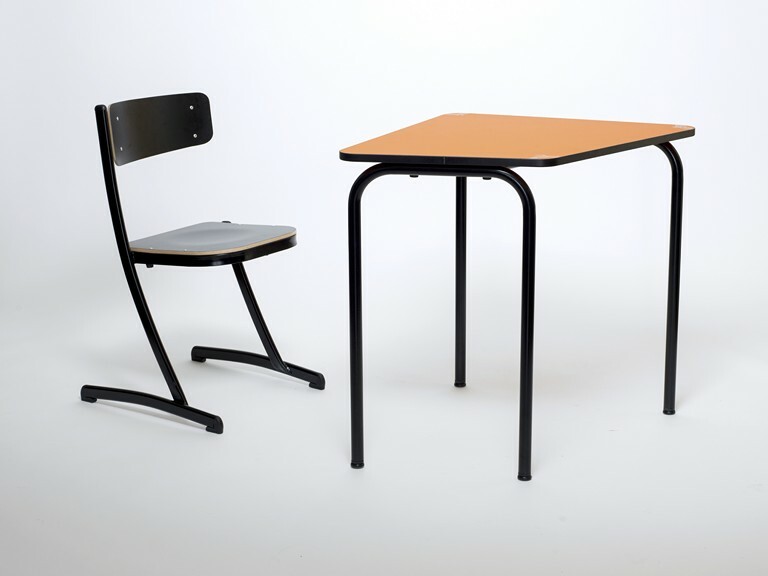 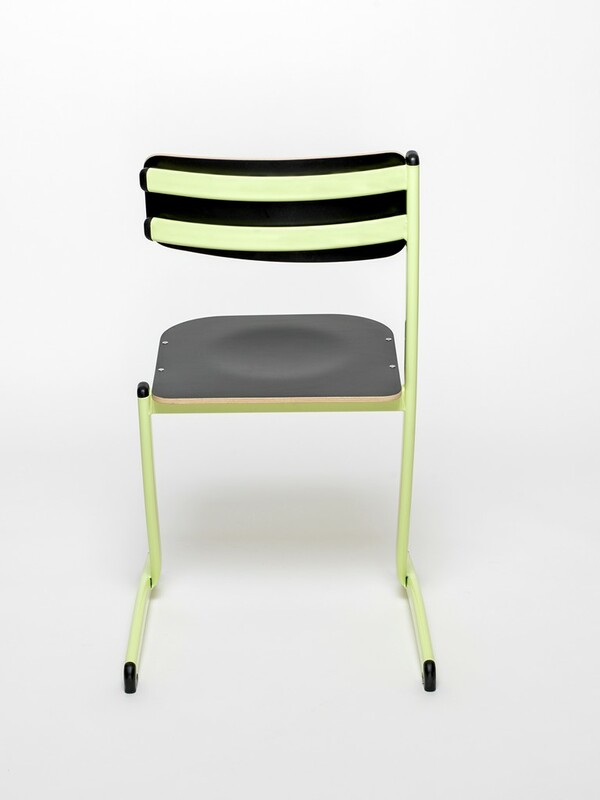 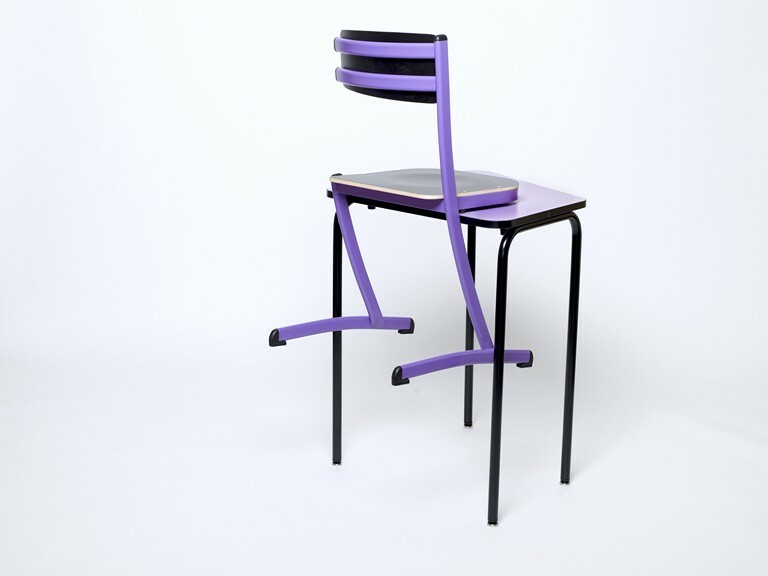 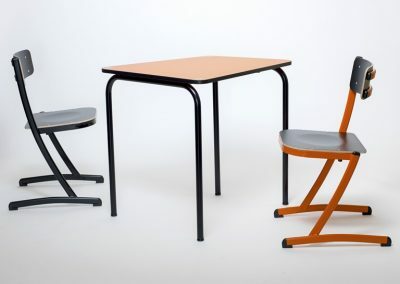 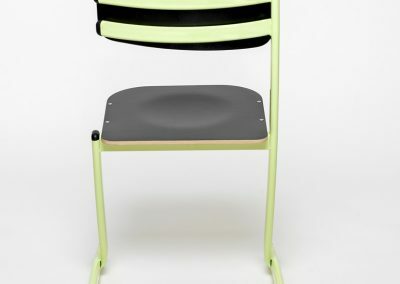 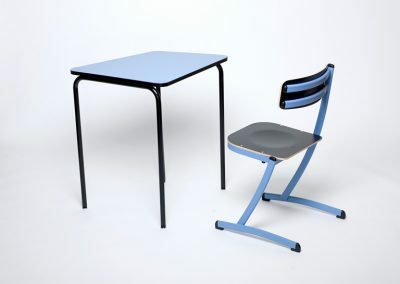 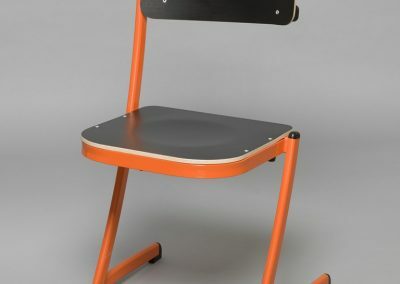 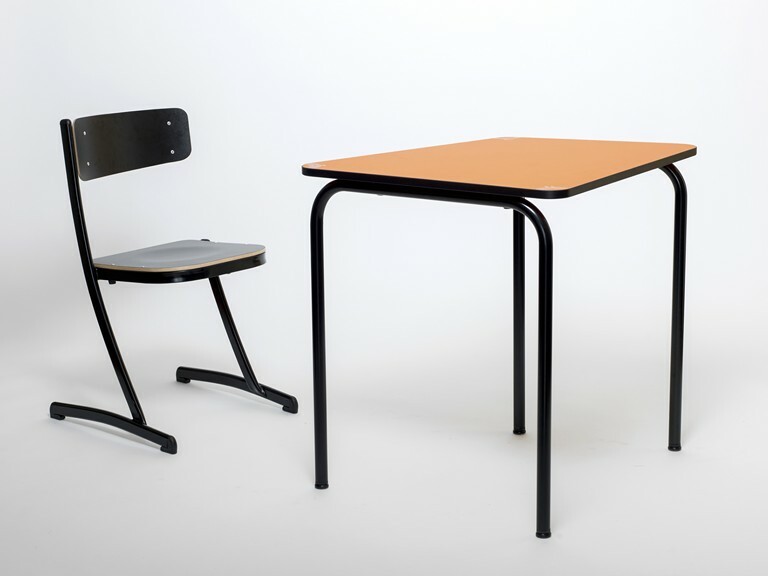 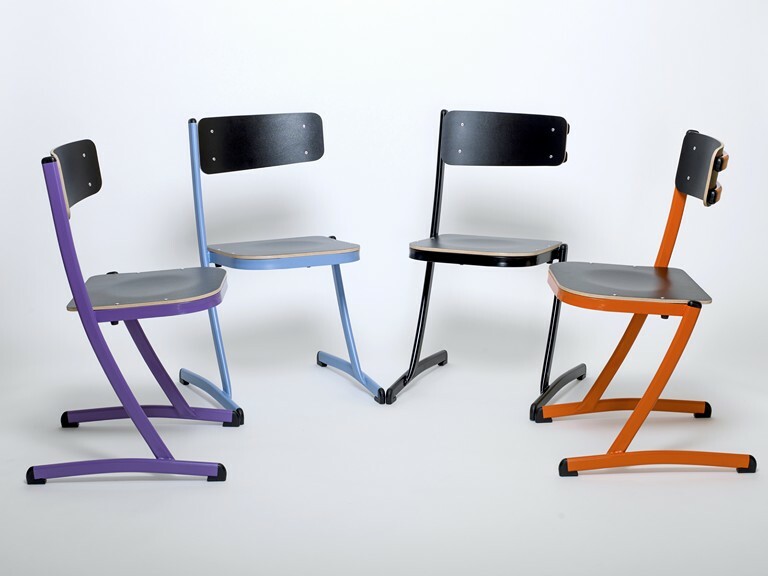 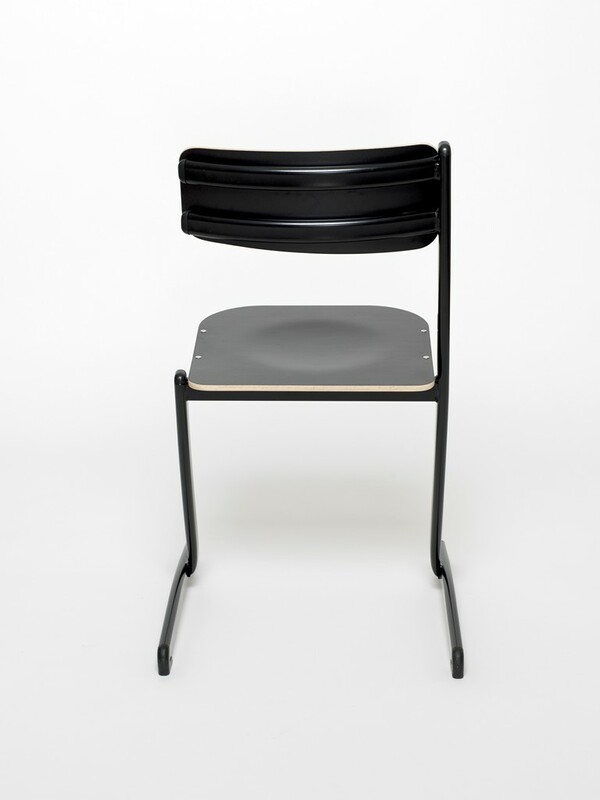 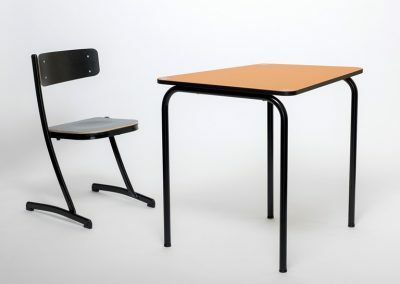 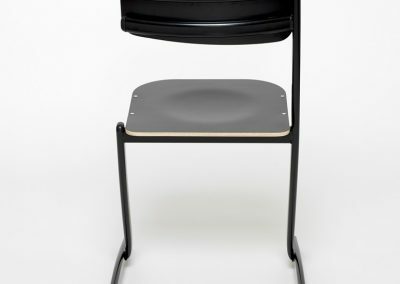 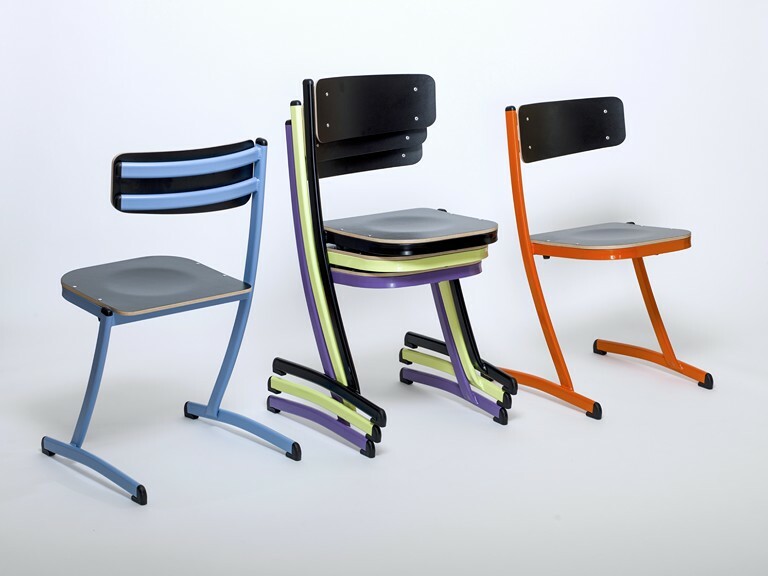 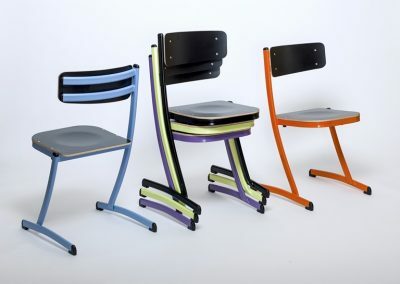 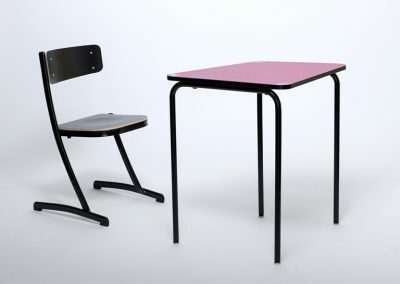 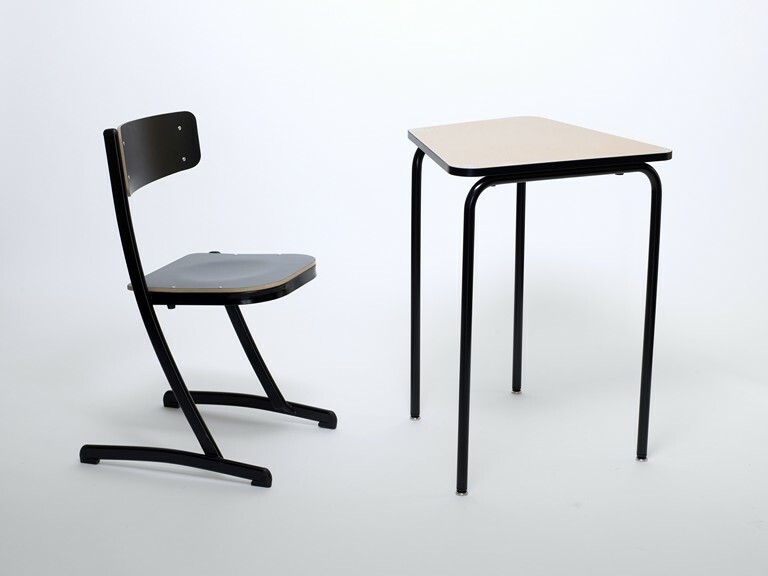 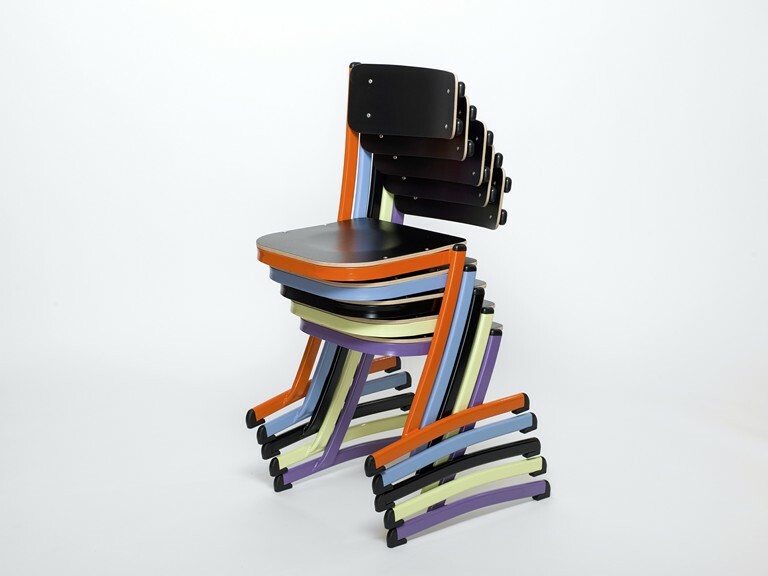 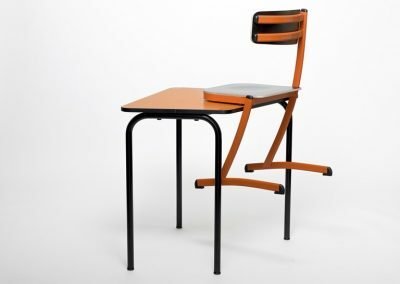 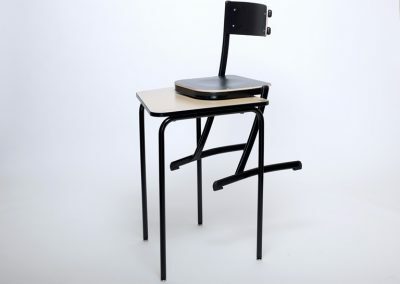 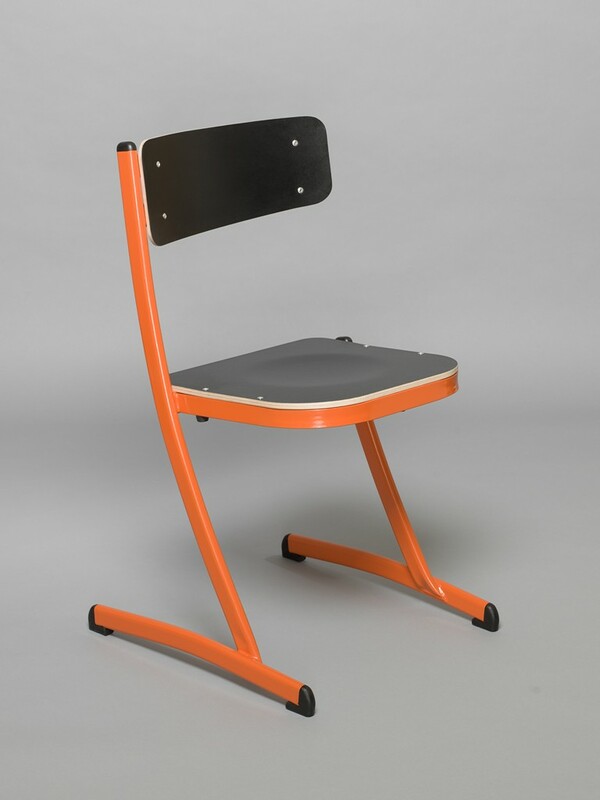 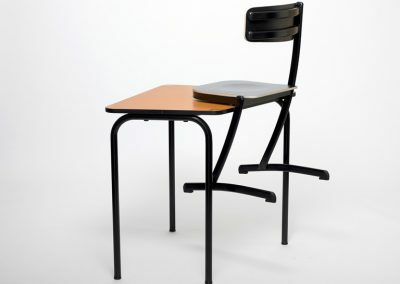 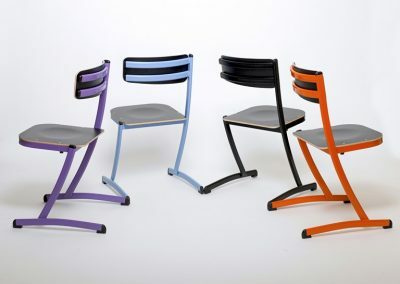 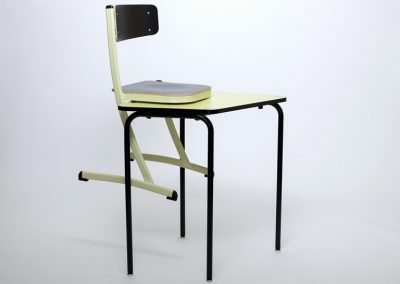 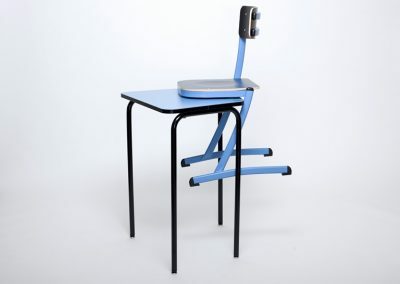 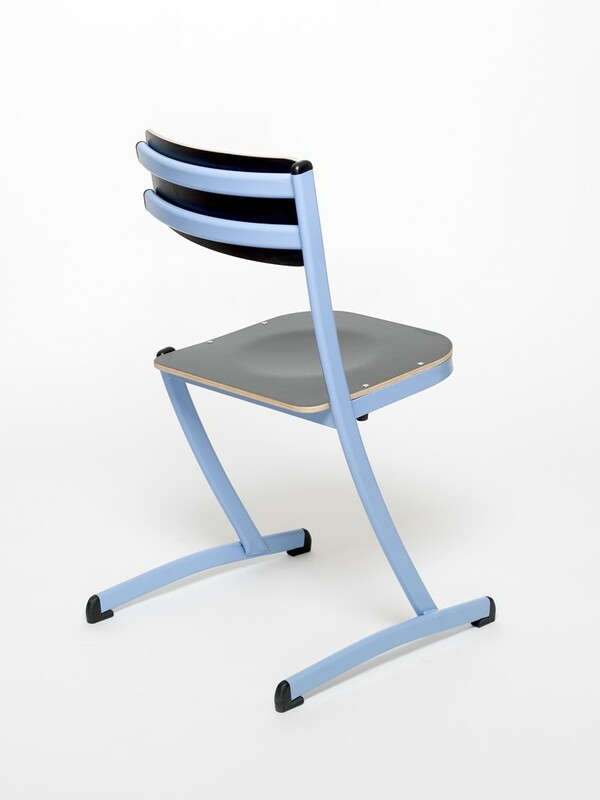 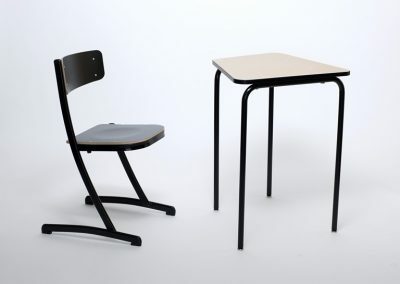 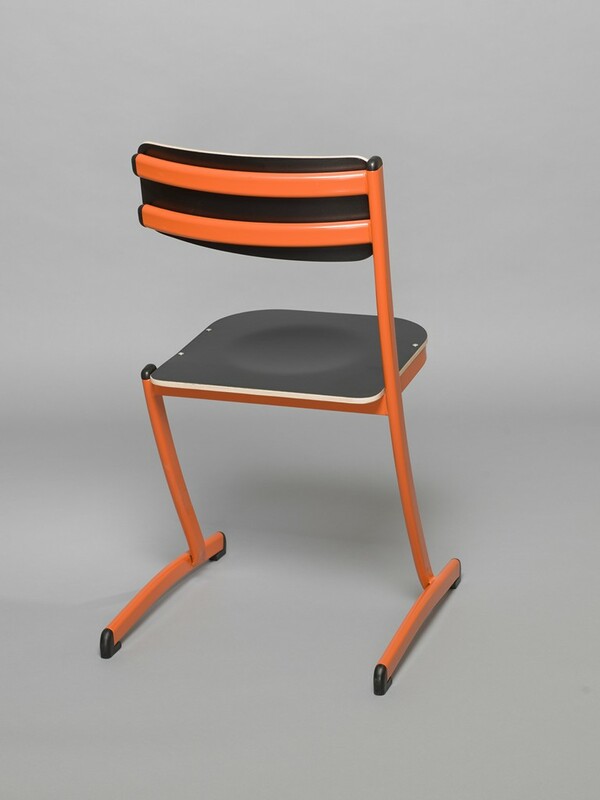 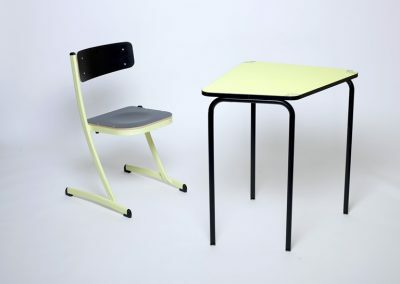 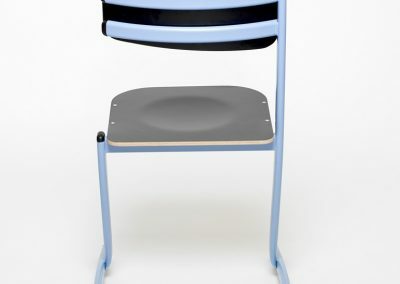 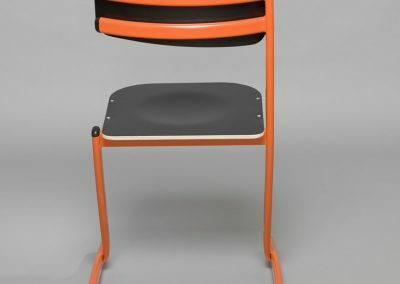 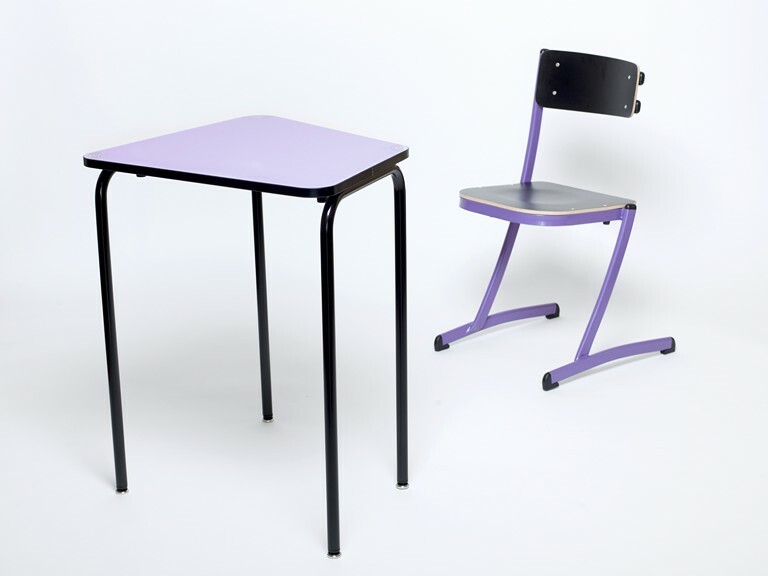 As the legs of the chairs do not touch the floor, it becomes much easier to clean the classroom.